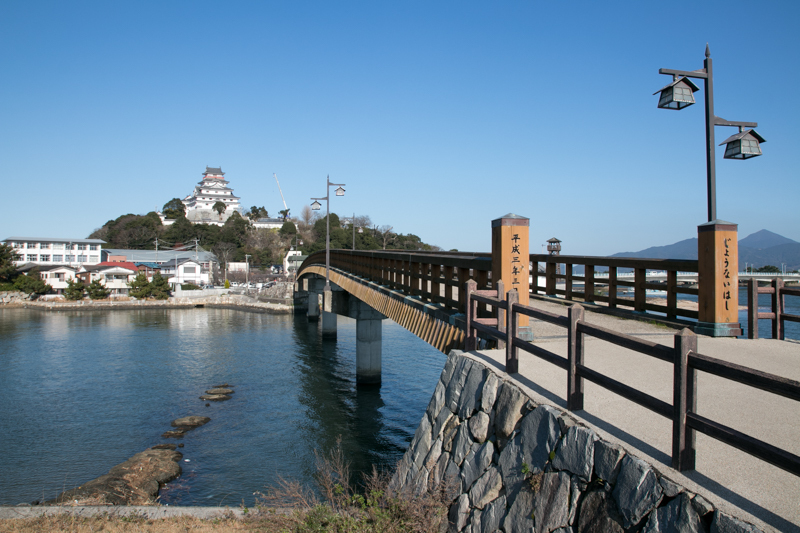 Karatsu castle (唐津城) is located at the mouth of Matsuura-gawa river, between the center of Karatsu city and Karatsu-wan bay. 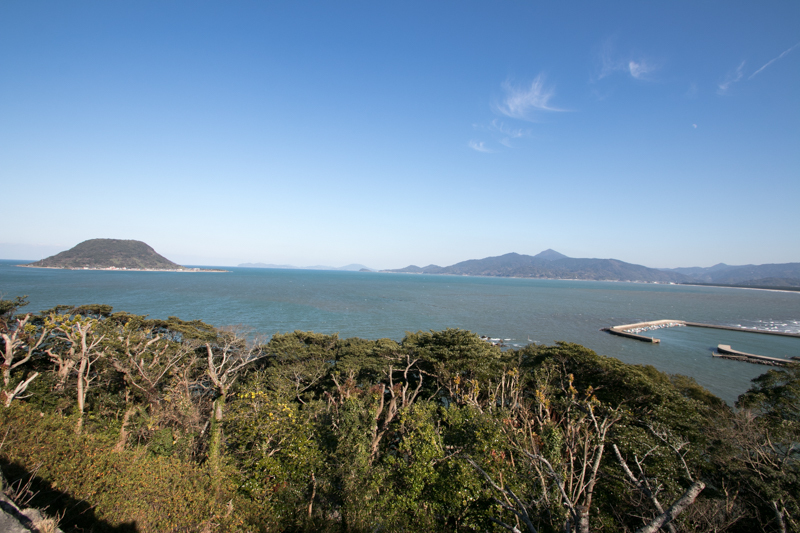 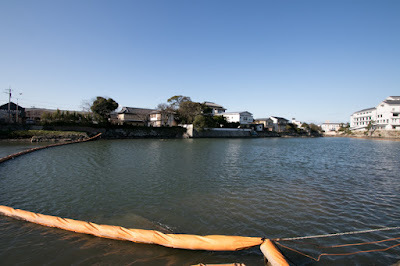 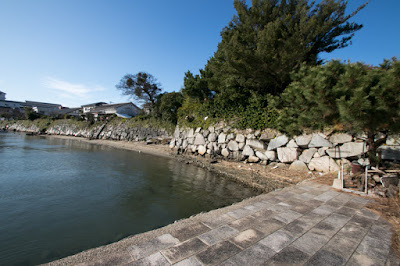 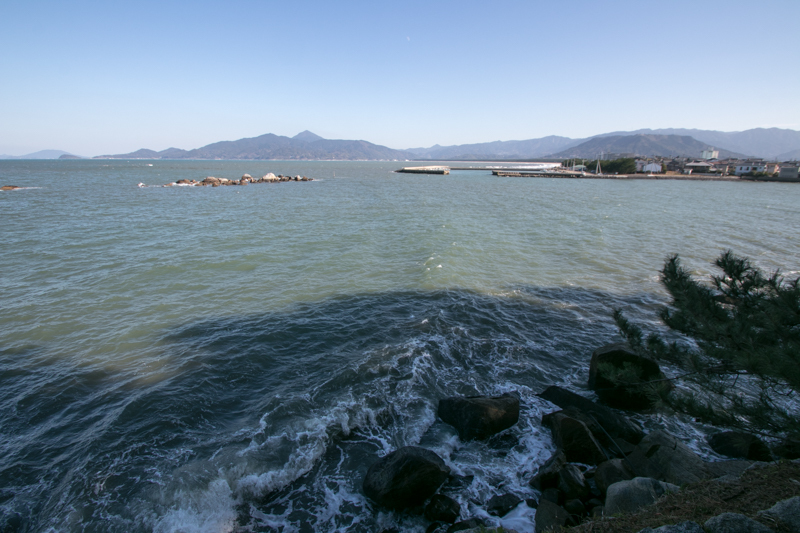 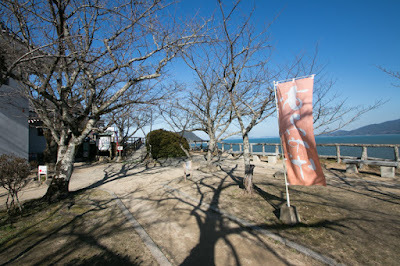 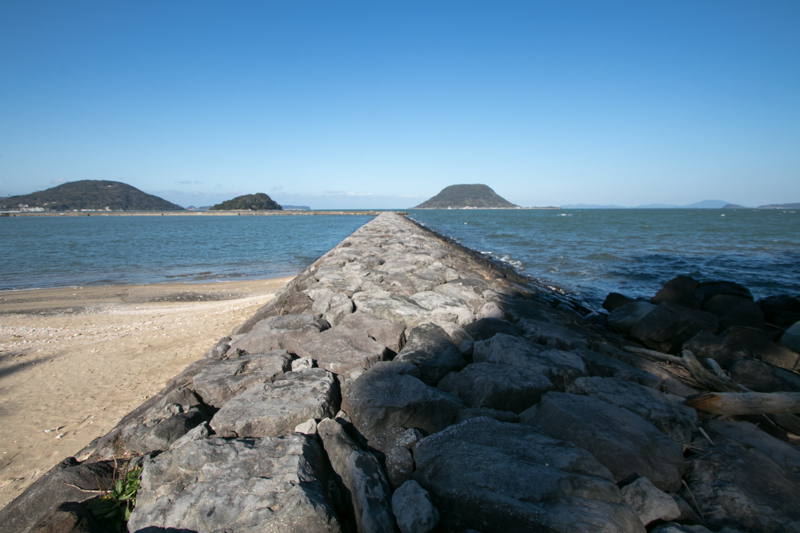 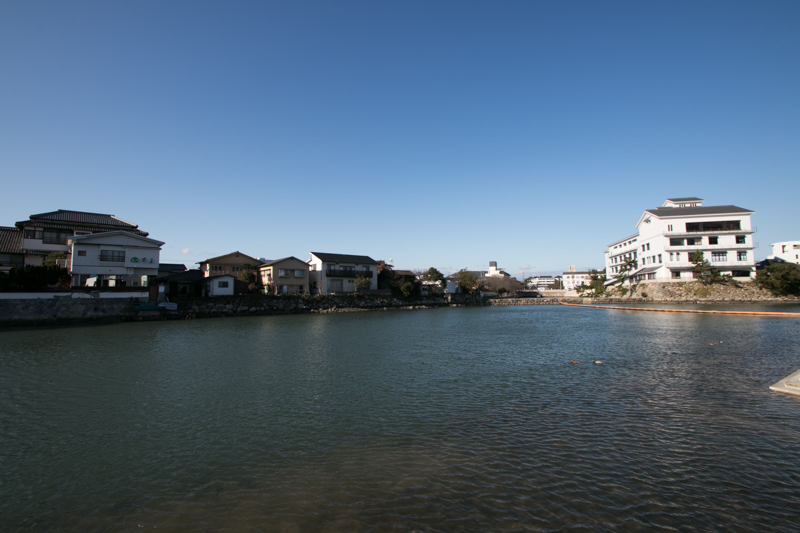 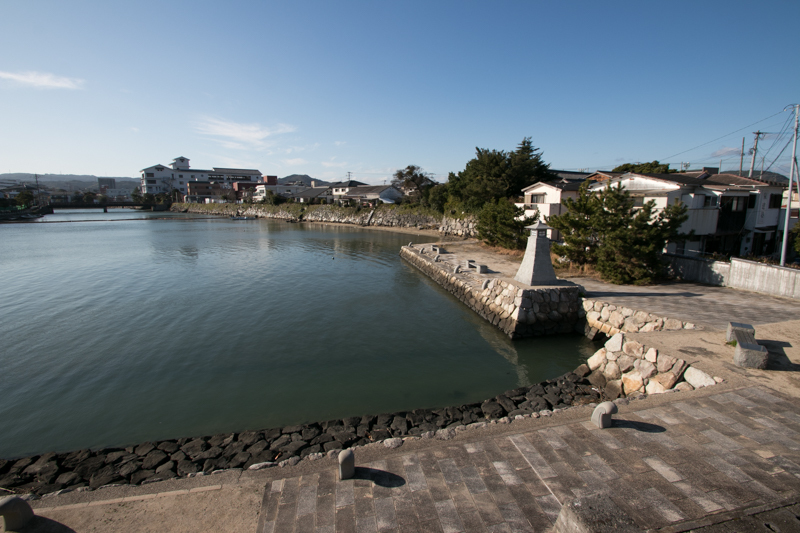 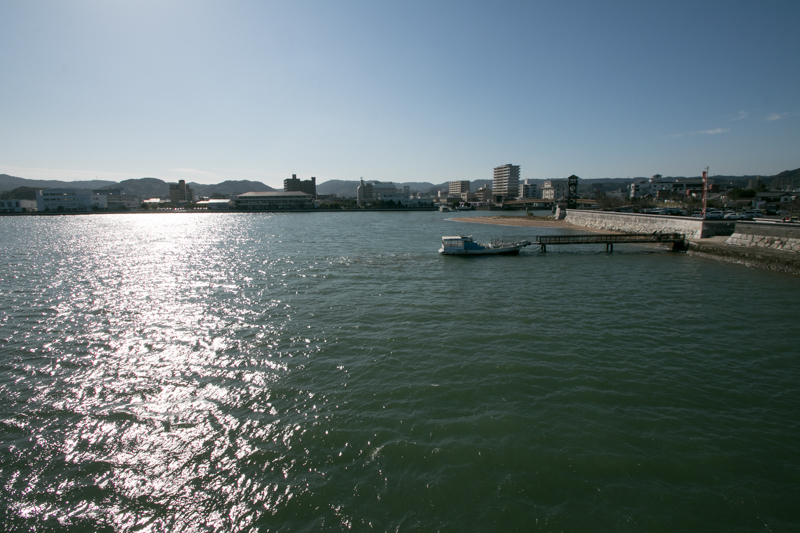 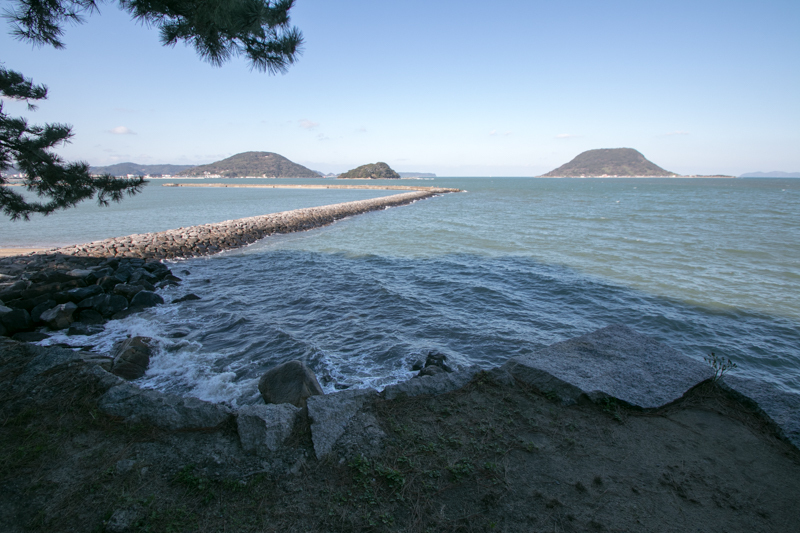 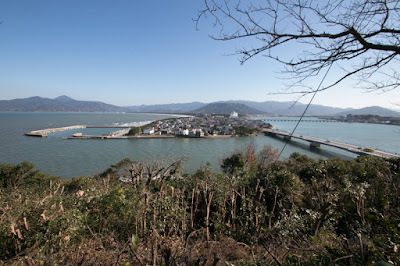 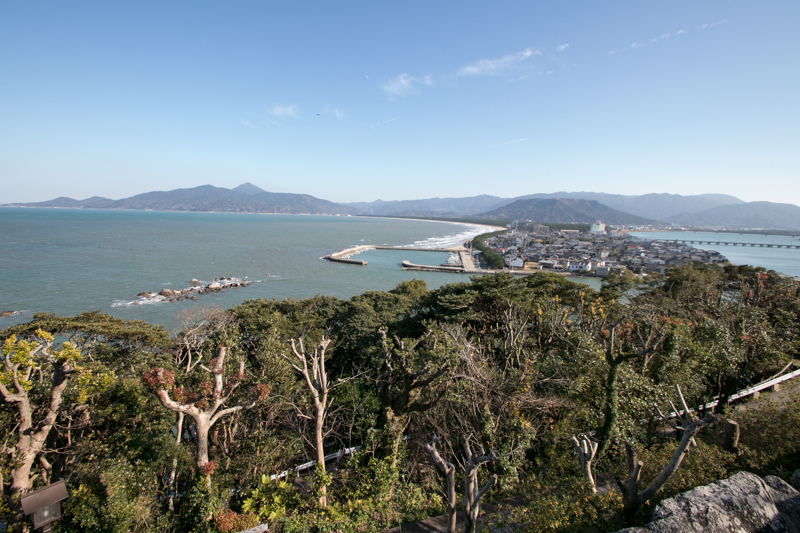 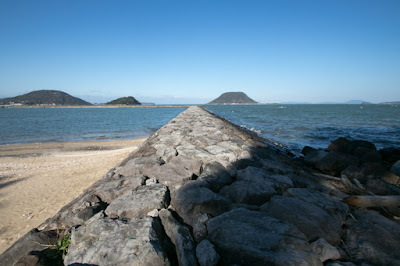 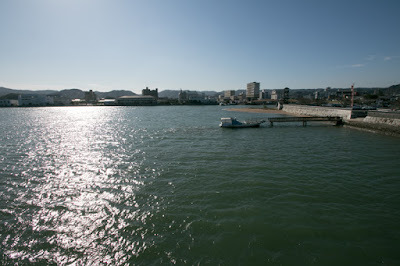 Hisorically Karatsu area has been a good port inside Karatsu-wan bay and being guarded by islands. 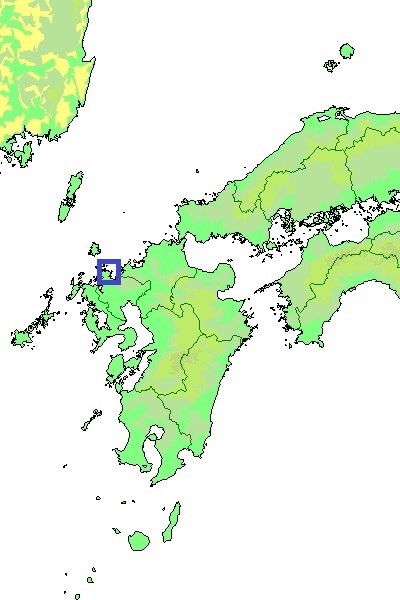 This area also places at the south end of shortest distant way between Kyushu island and Korean peninsula, passing Iki islands and Tsushima islands. 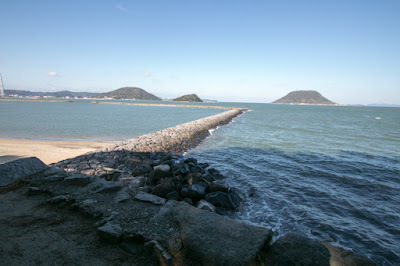 By immature ancient navigation technique, to minimize the possibility of accident ships had to trace the coast and islands, and Karatsu area was most suitable departure point toward other East Asian countries (The name "Karatsu" means port to China). 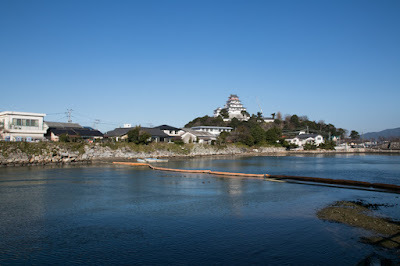 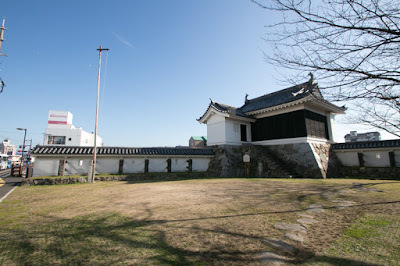 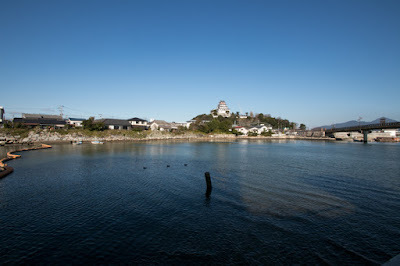 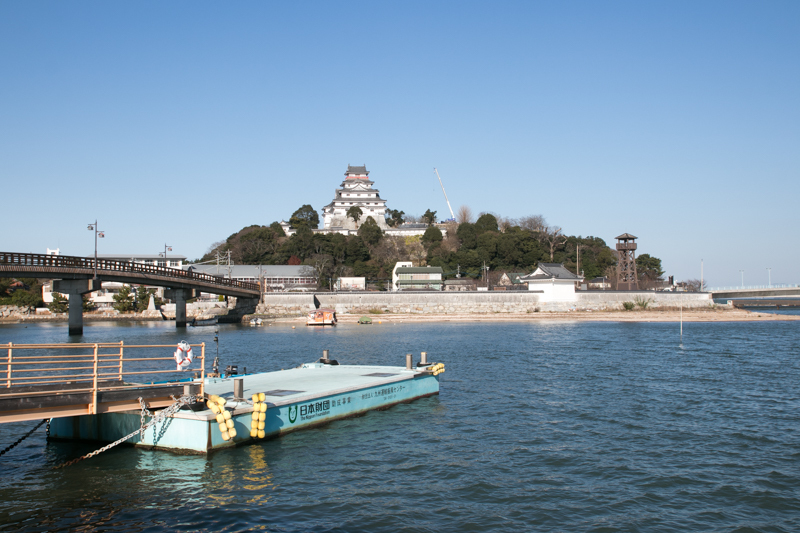 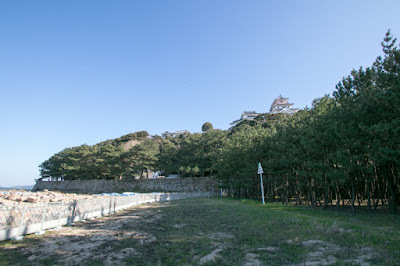 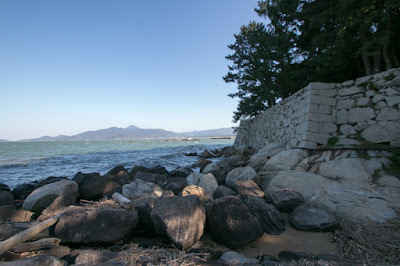 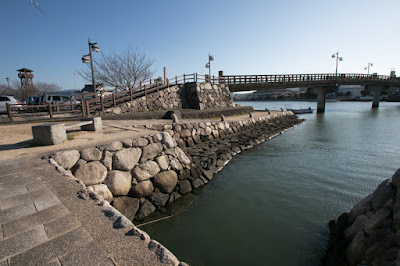 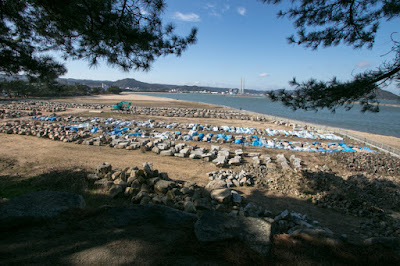 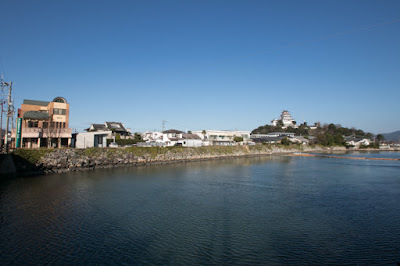 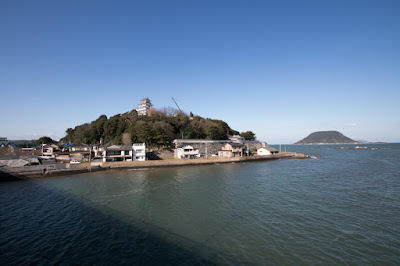 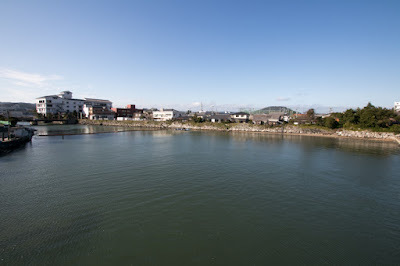 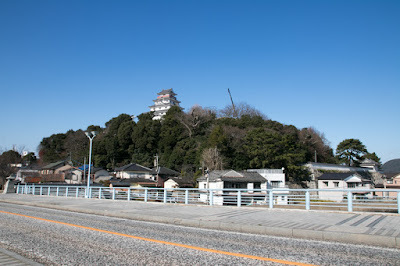 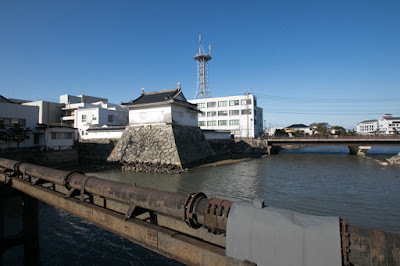 Karatsu castle was built utilizing Mitsushimayama hill of 40 meter height at the mouth of Matsuuragawa river and connecting sandbar. 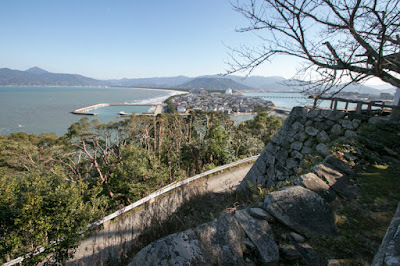 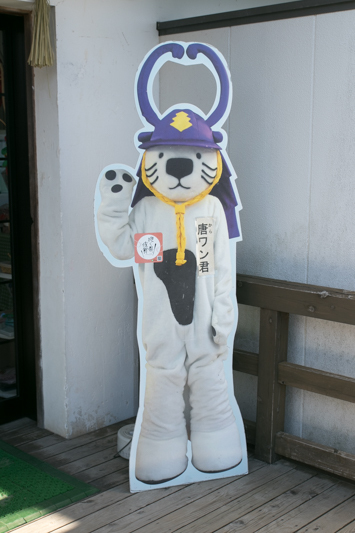 In medieval era Higashi Matsuura peninsula including Karatsu city was originally managed by clans of Matsuura party, a group of sea clans engaged in sea transportation or fishery with armed ship and lead by Hata clan which was the lord of Kishidake castle. 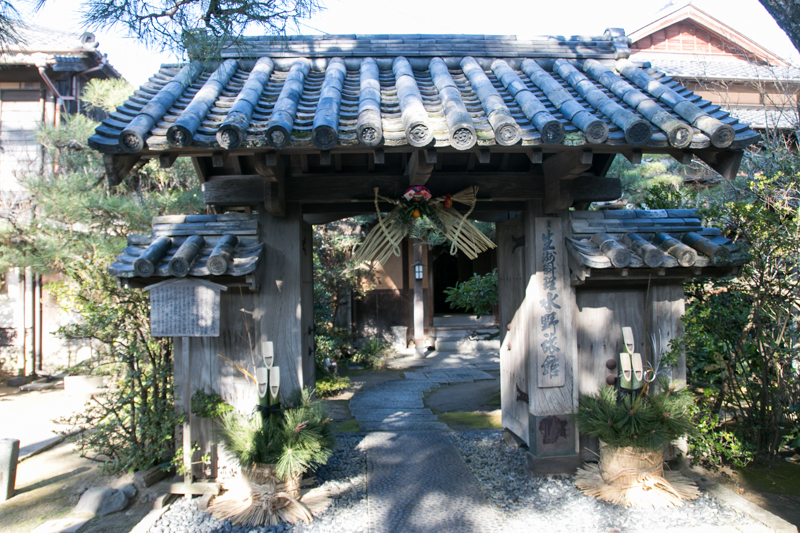 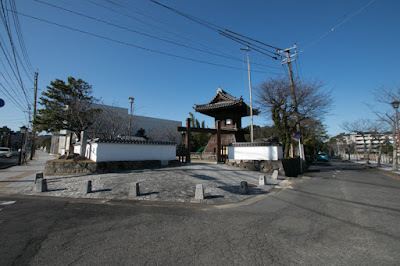 But clans of Matsuura party were expelled by central ruler Hideyoshi Toyotomi (1537-1598), and Hideyoshi appointed his general Hirotaka Terasawa (1563-1633) as a lord of this area to manage important trade port. Hideyoshi also built Hizen Nagoya castle, a huge headquarter for his foreign campaign, at the north part of the peninsula. 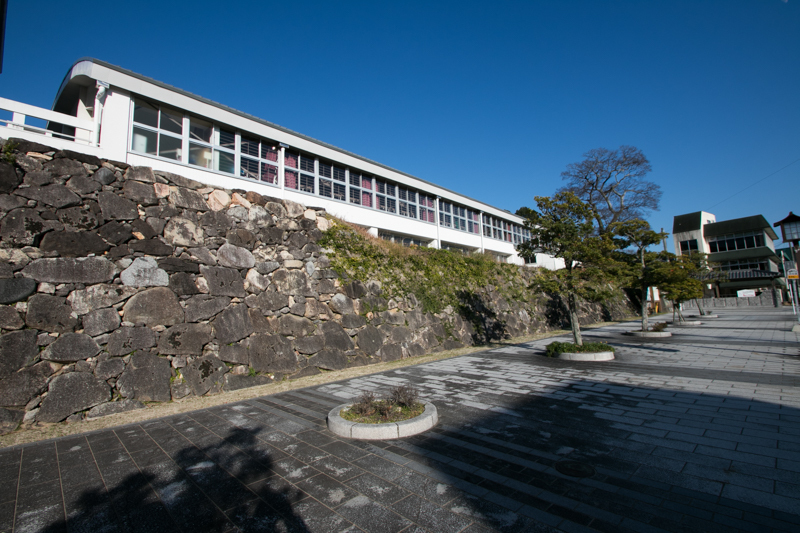 Hirotaka Terasawa was an efficient administrative staff and served as a magistrate of Nagasaki city. 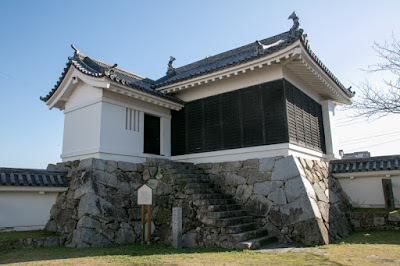 After the death of Hideyoshi in 1598, Hirotada supported next ruler Ieyasu Tokugawa (1543-1616) who established Edo Shogunate, and continued as a feudal lord with additional territory at Amakusa islands. 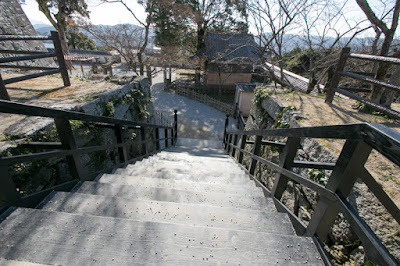 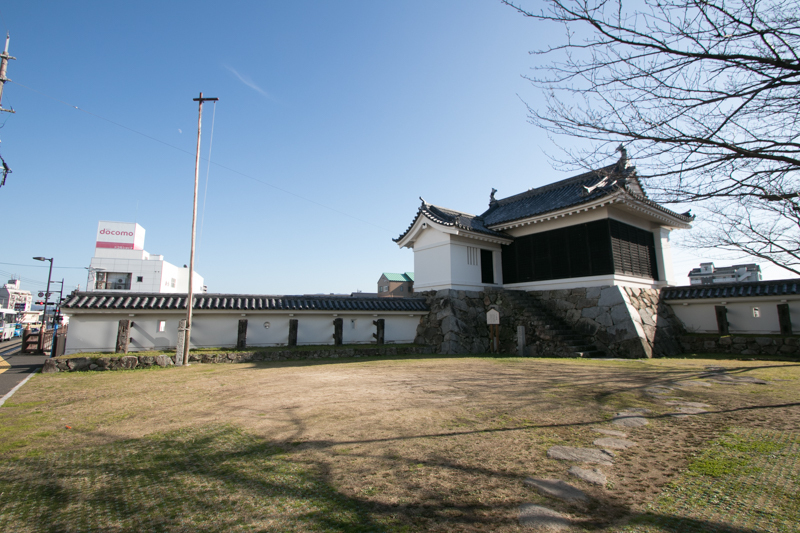 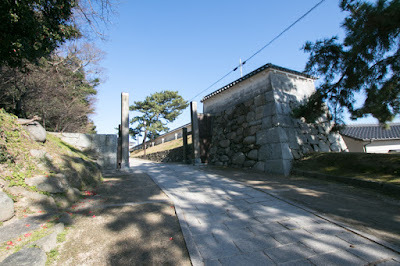 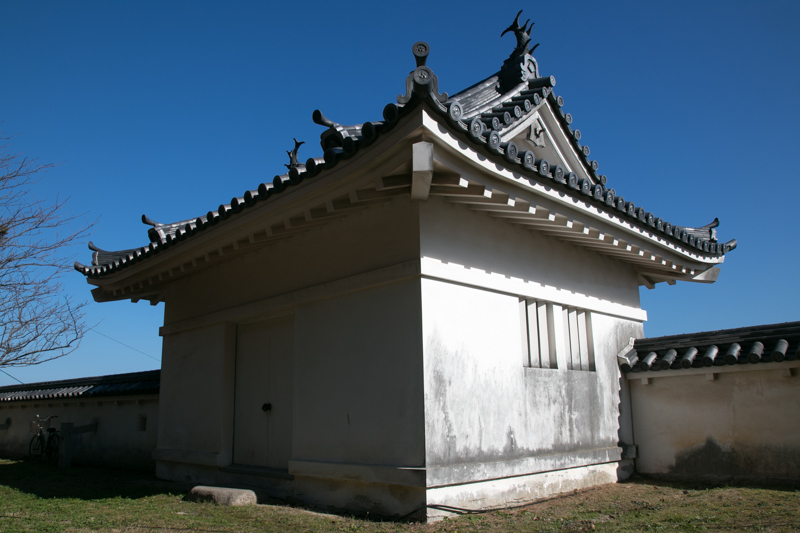 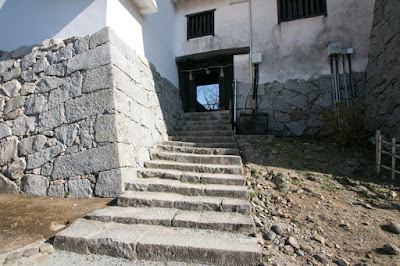 Hirotada originally used Kishidake castle (Saga prefecture) which was the main base of Matsuura party, but in 1602 Hirotada started to build a new castle to use as his main base. 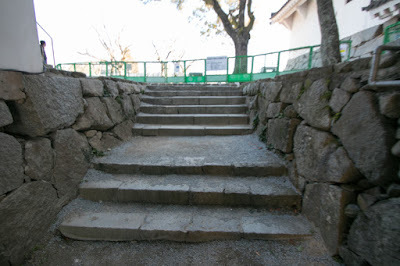 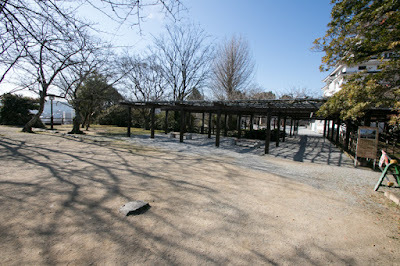 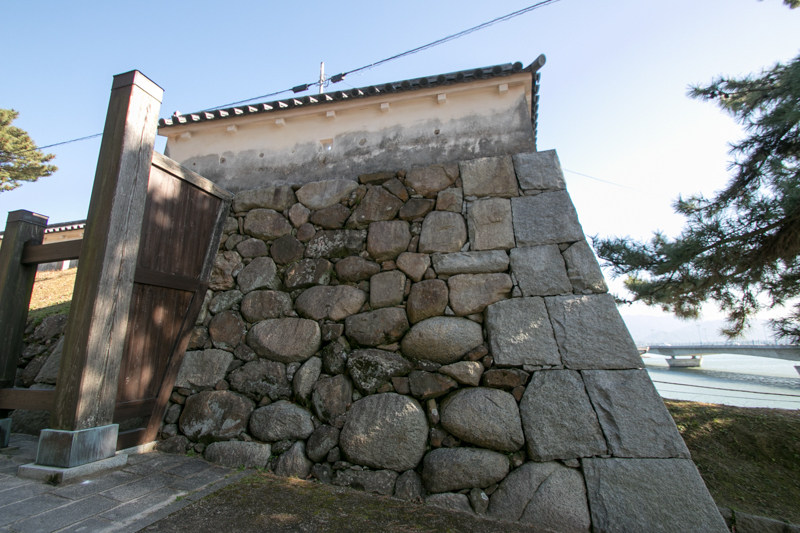 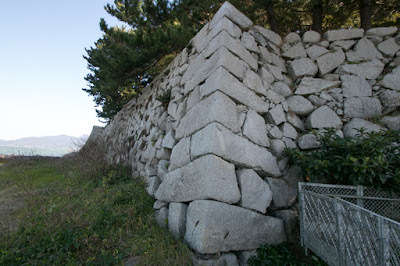 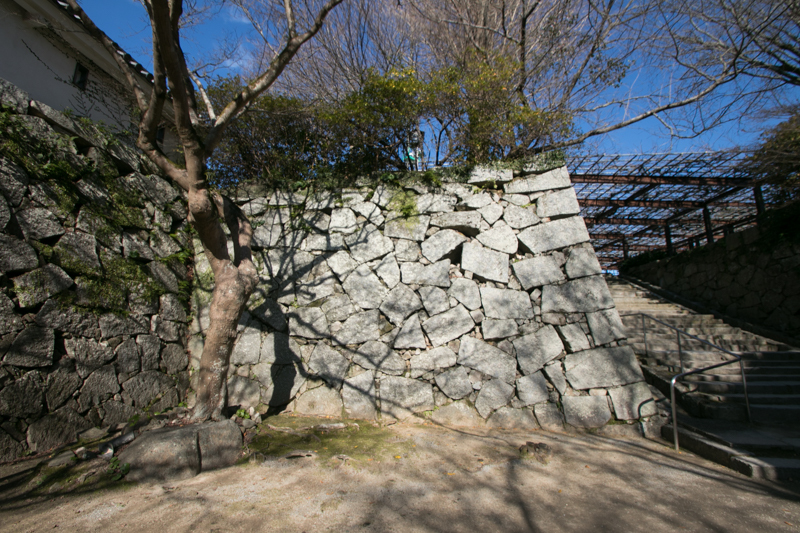 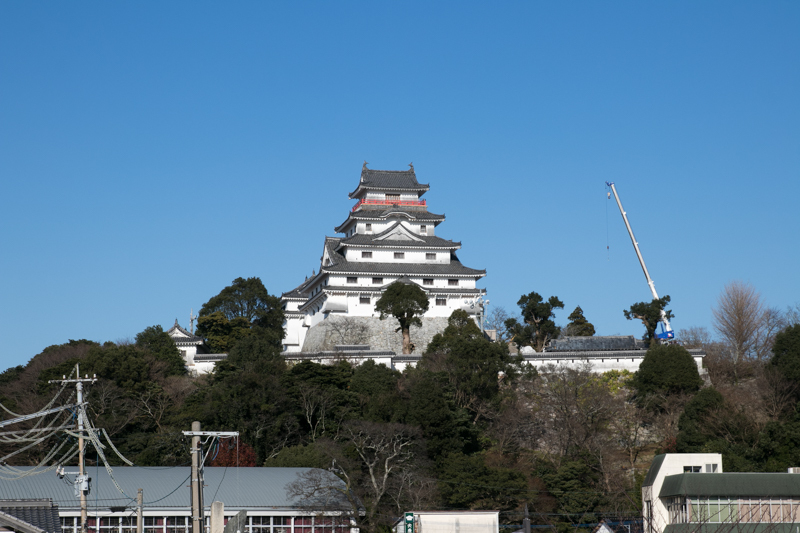 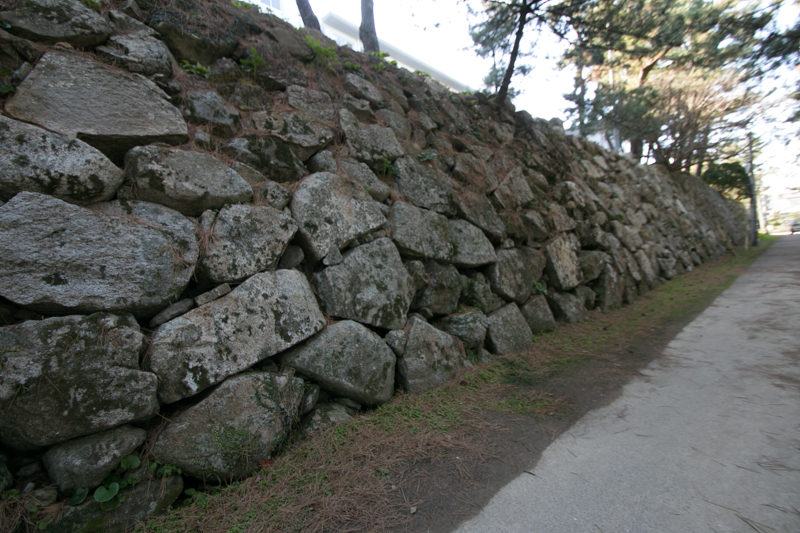 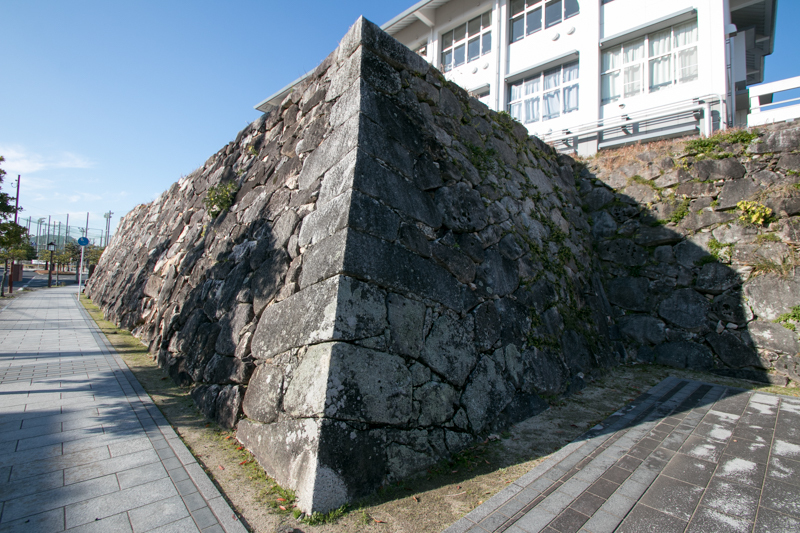 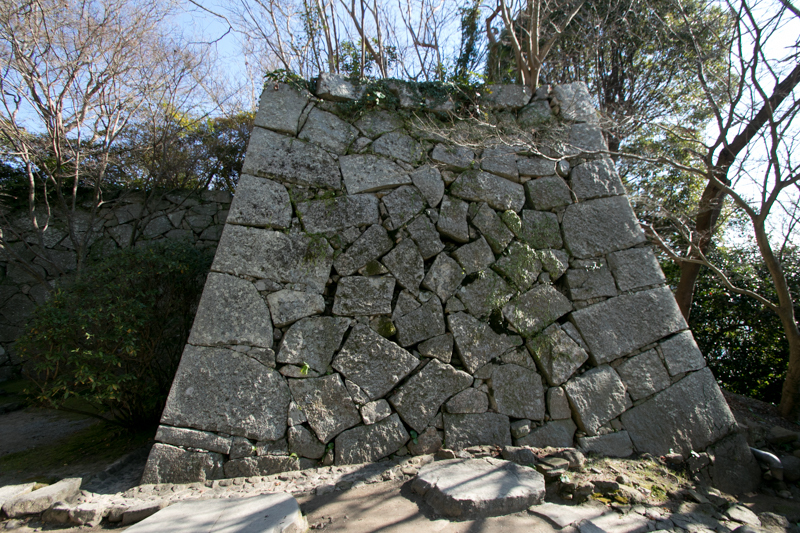 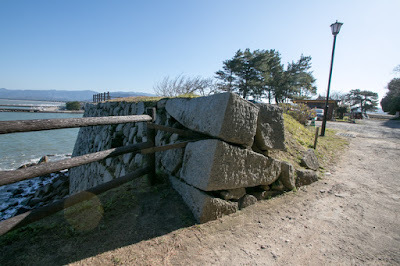 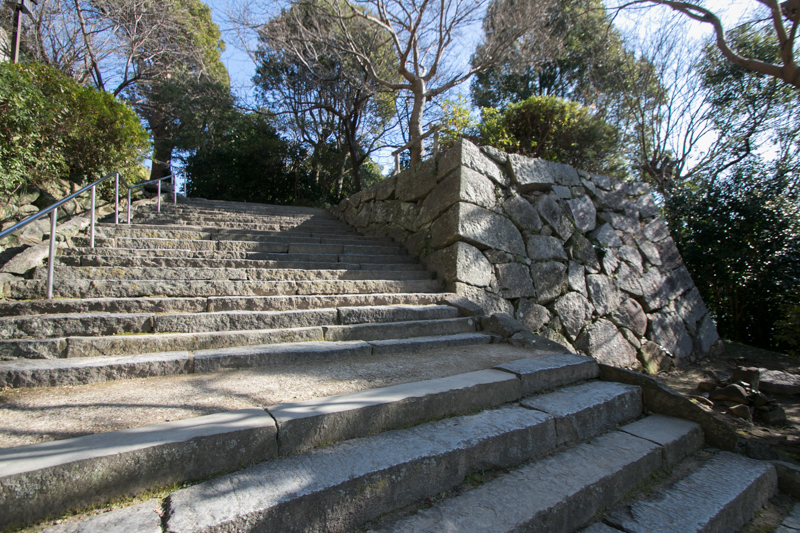 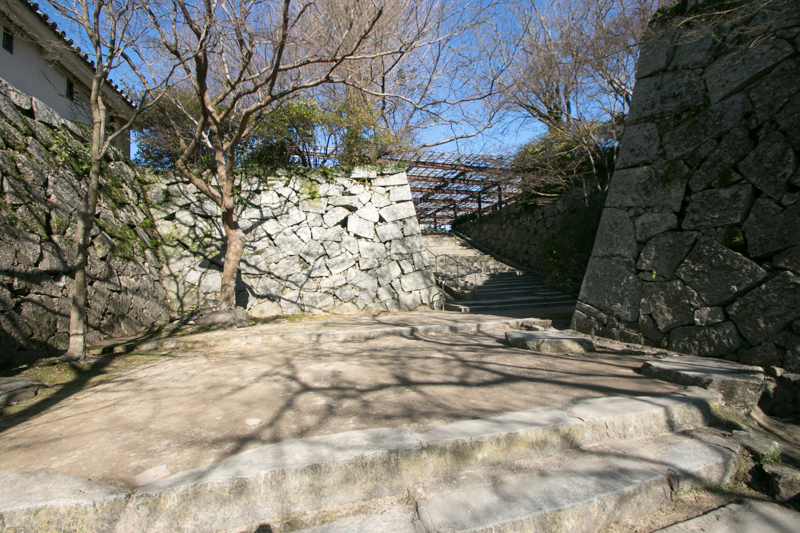 Stones and materials of abolished Hizen Nagoya castle were used for the construction of Karatsu castle, and after six years construction Karatsu castle had completed. 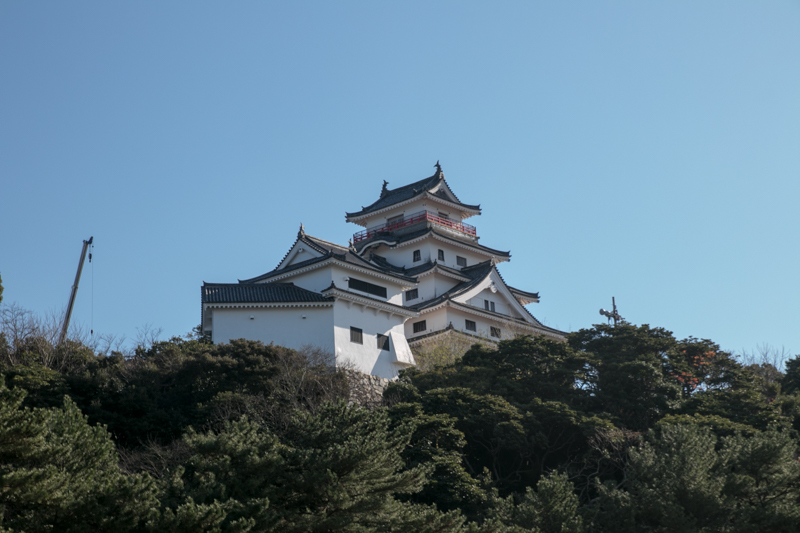 Terasawa clan was still not so large lord but gained wealth from foreign trade, thus Karatsu castle became a large and splendid one competing with castles of much larger lords. 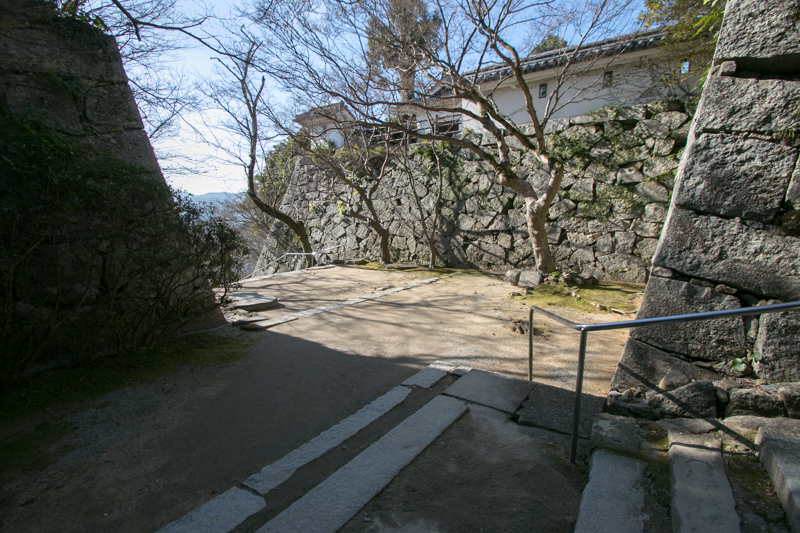 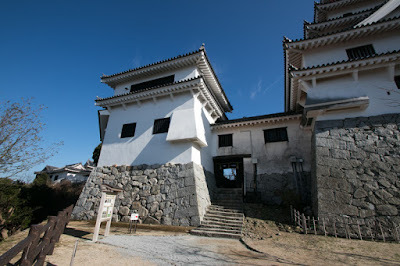 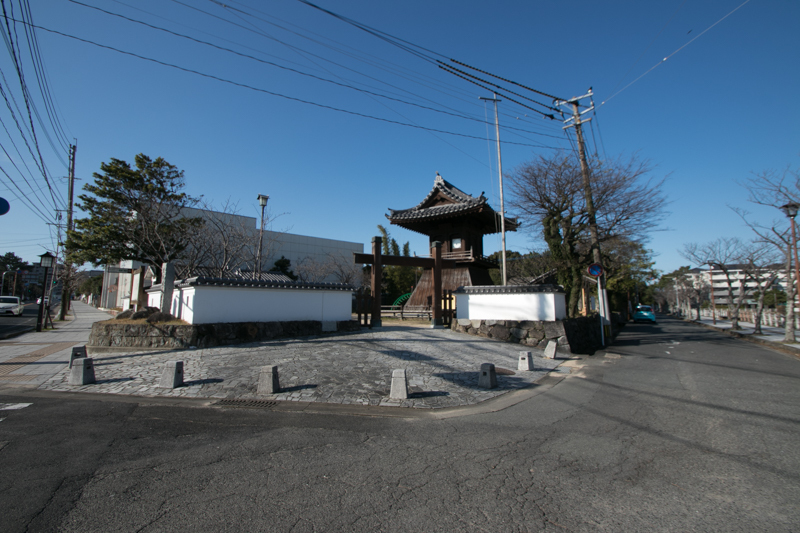 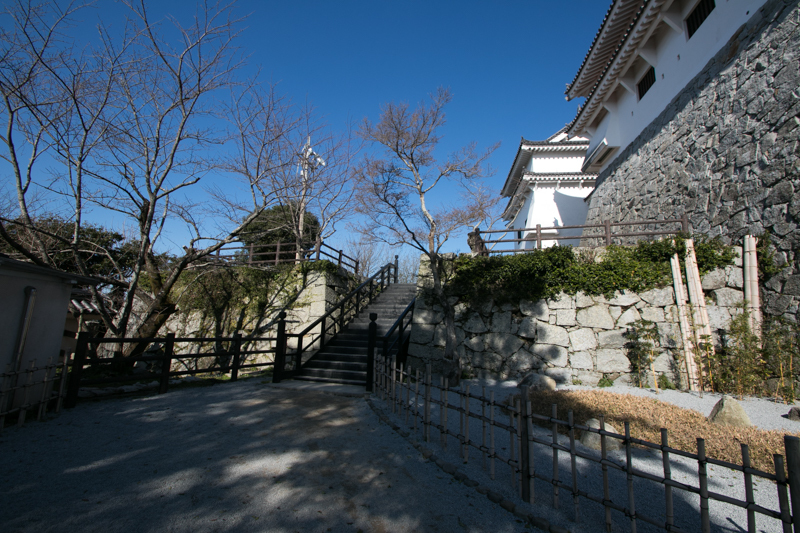 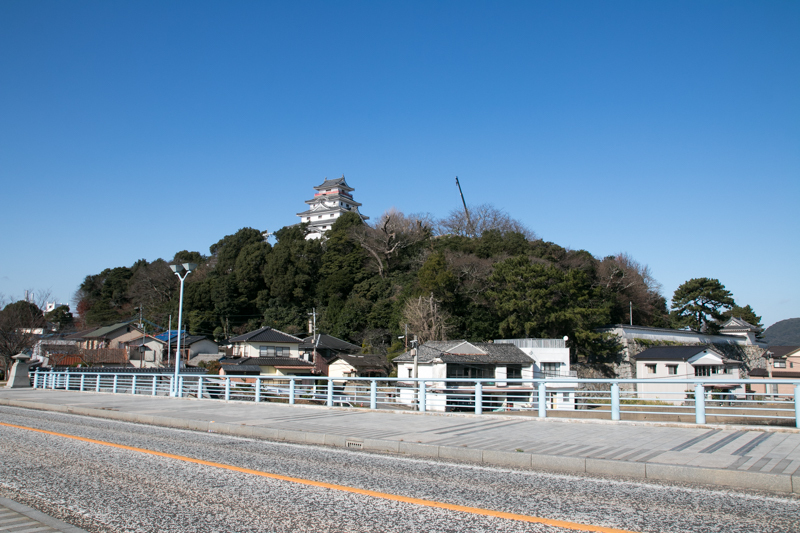 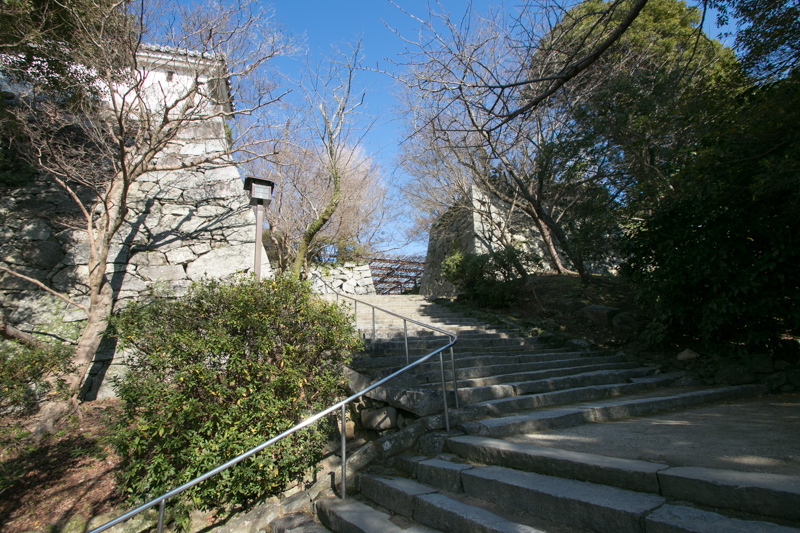 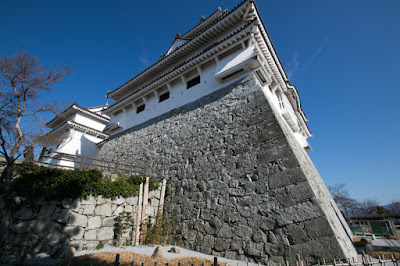 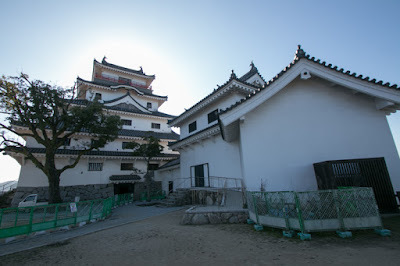 Karatsu castle consist of inner areas exist over the hill, and outer areas spreads over the narrow space between coast and Matsuura-gawa river like a folding fan. 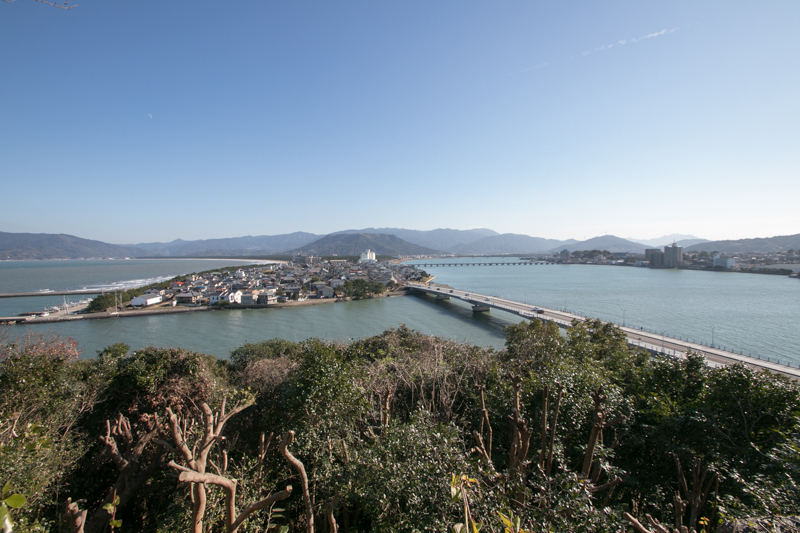 Hill area is about 300 meter long and 200 meter wide ellipse, and north, east and south direction Hill area is surrounded by sea and river. 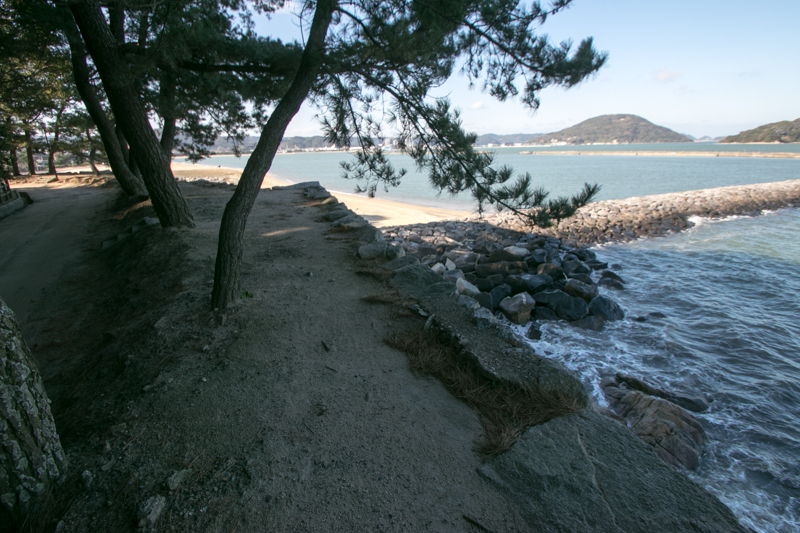 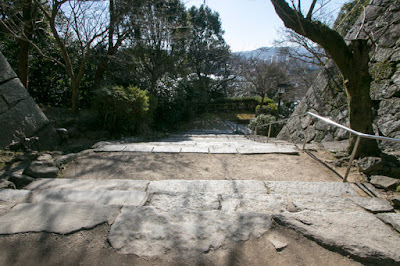 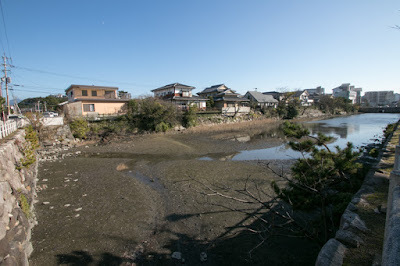 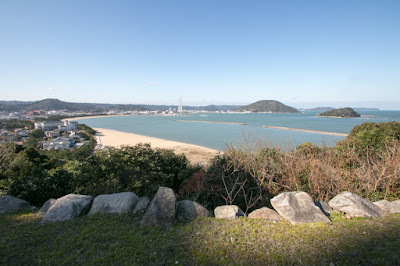 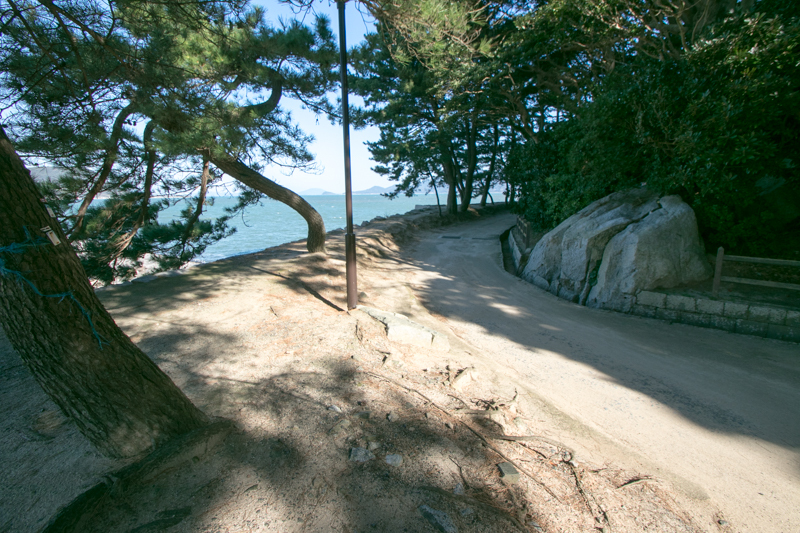 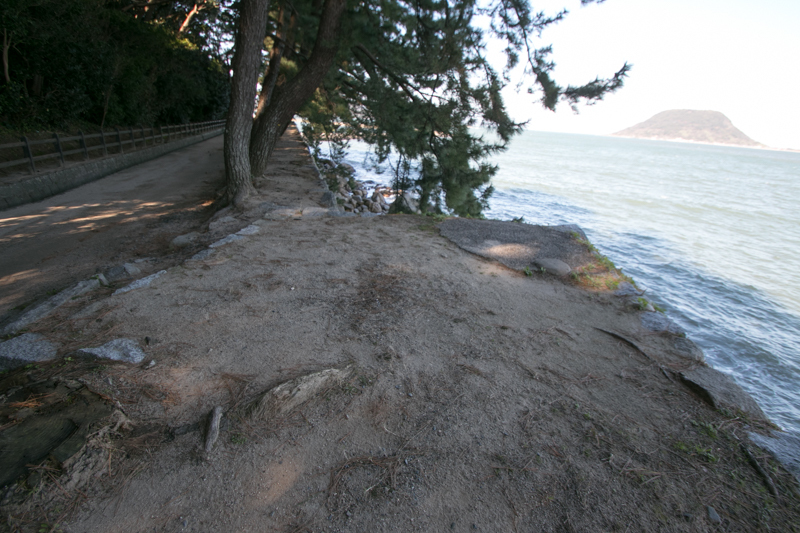 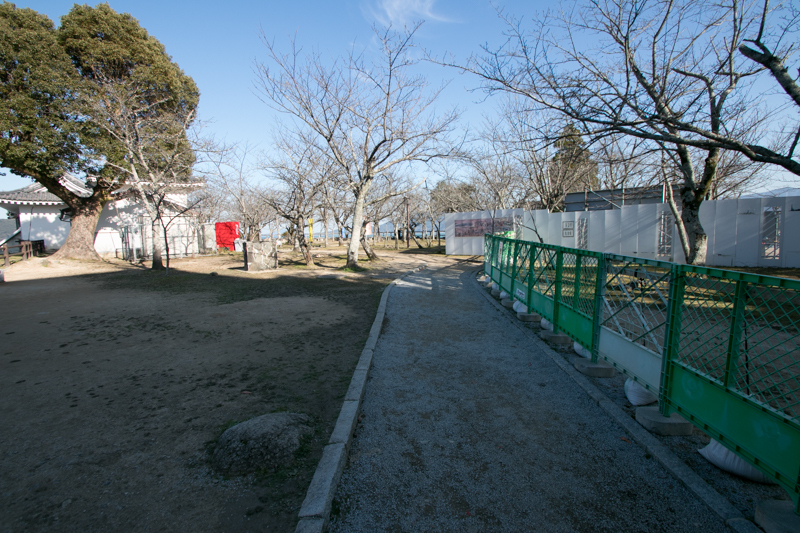 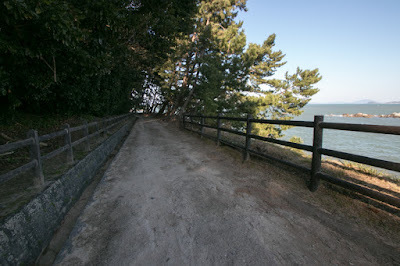 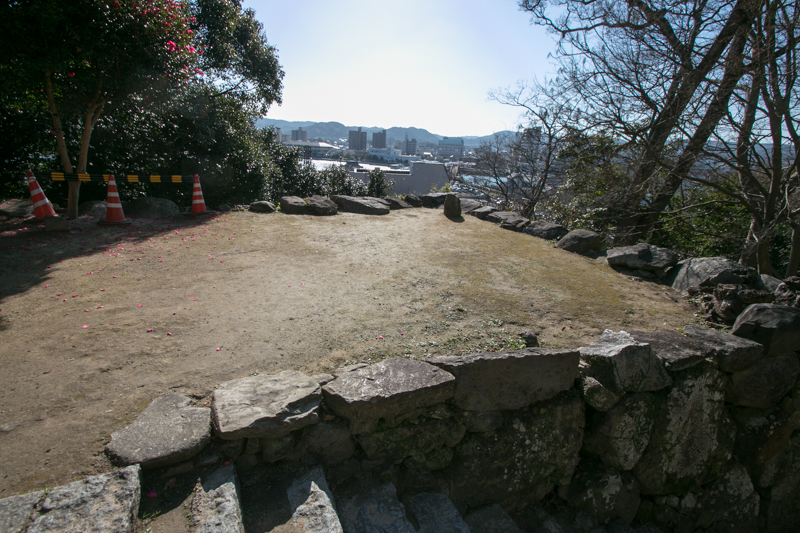 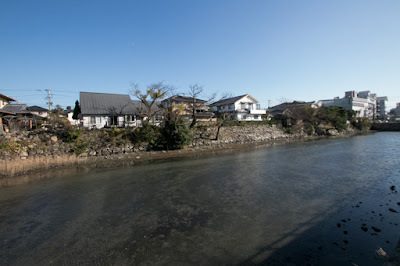 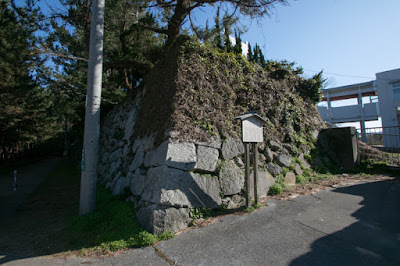 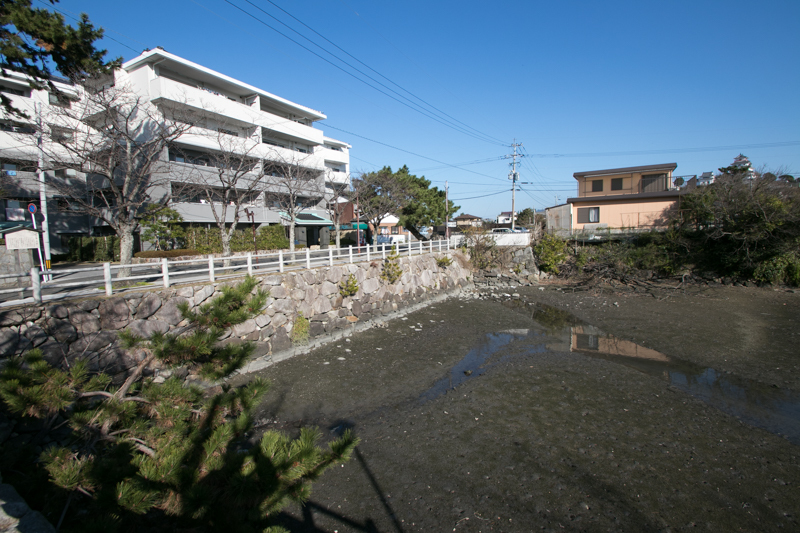 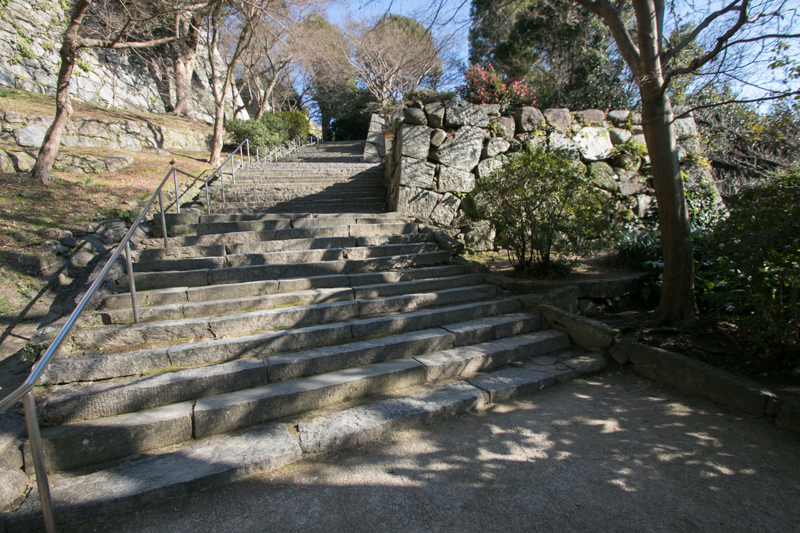 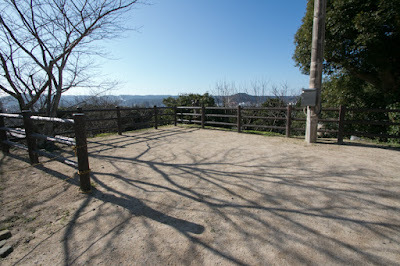 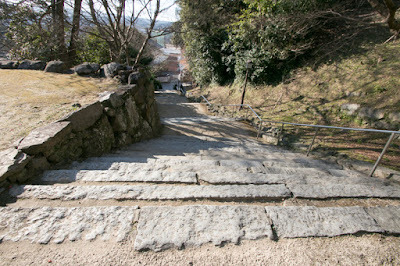 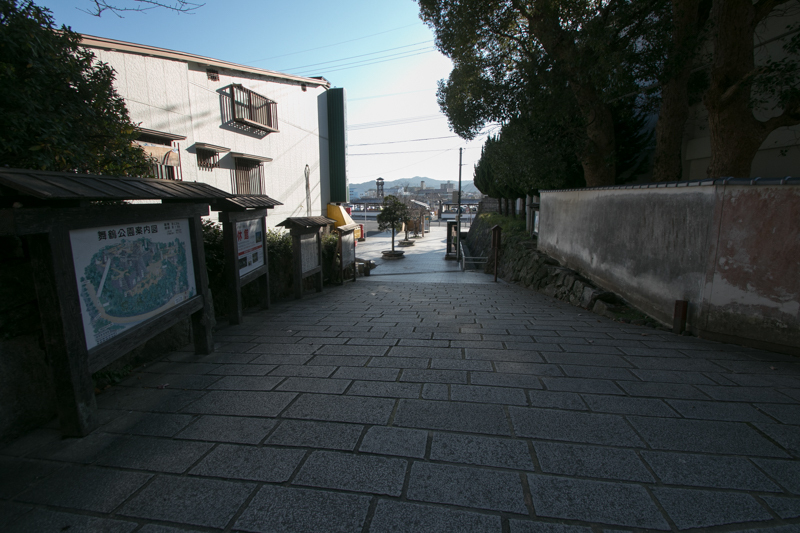 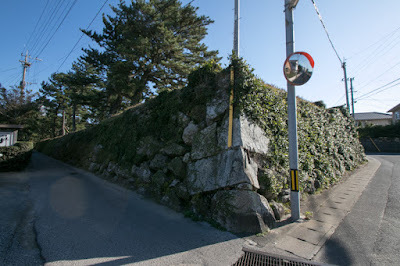 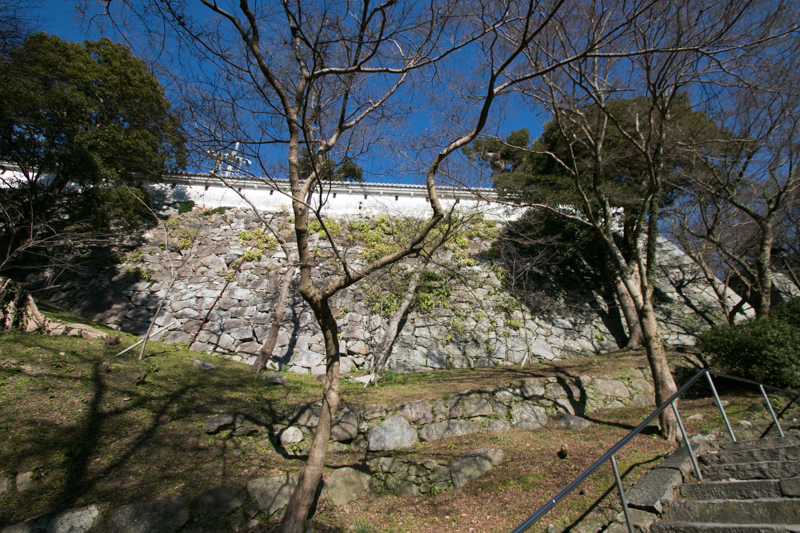 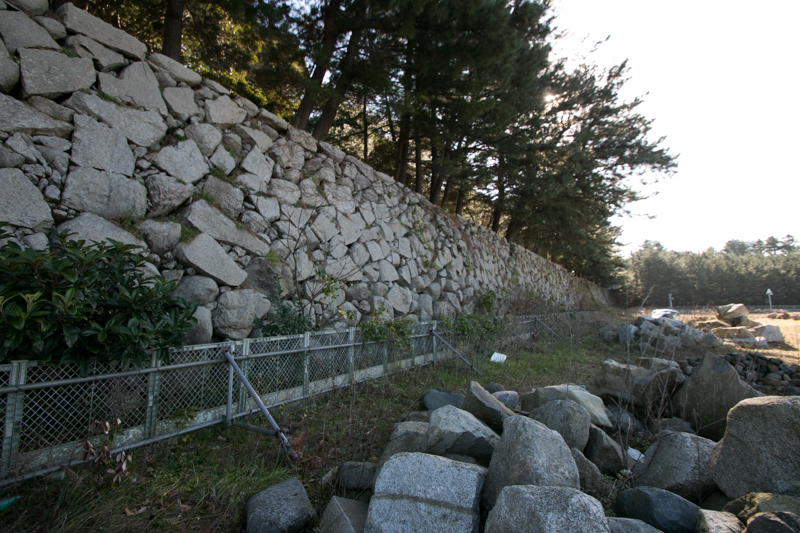 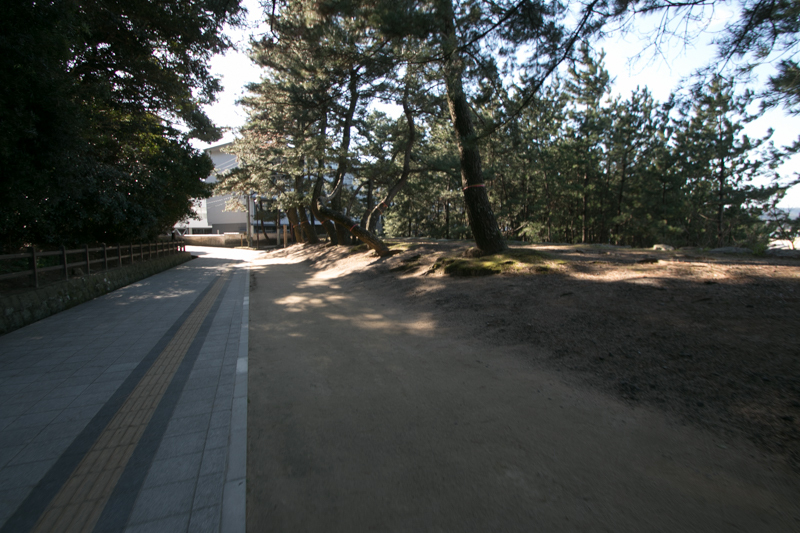 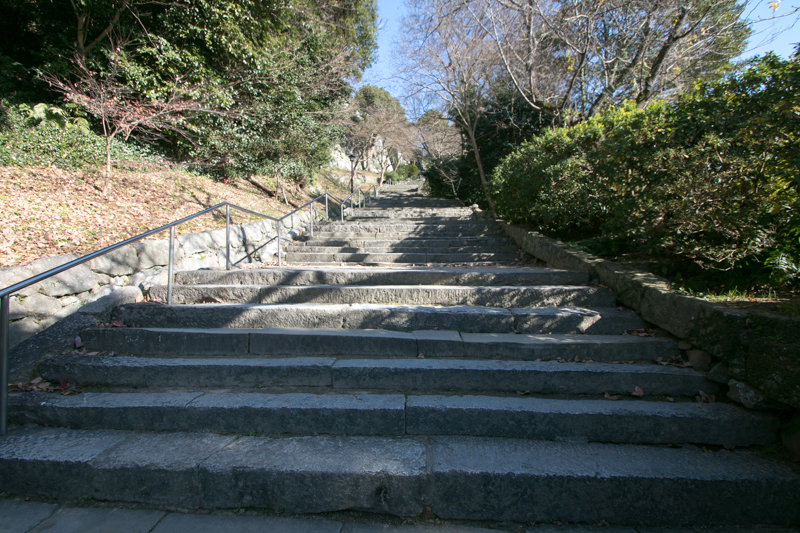 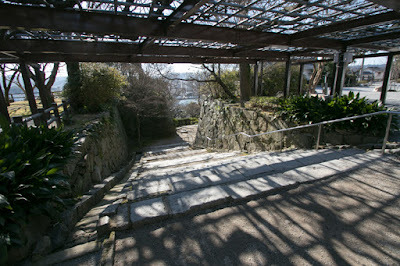 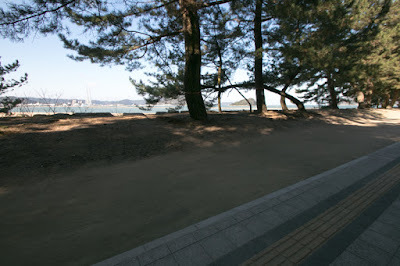 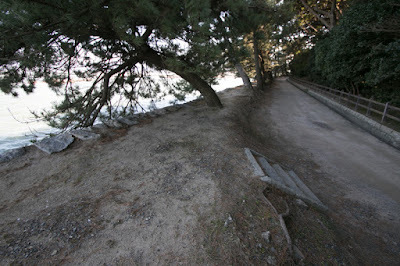 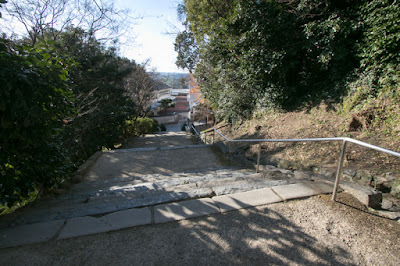 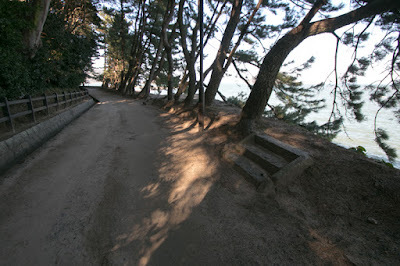 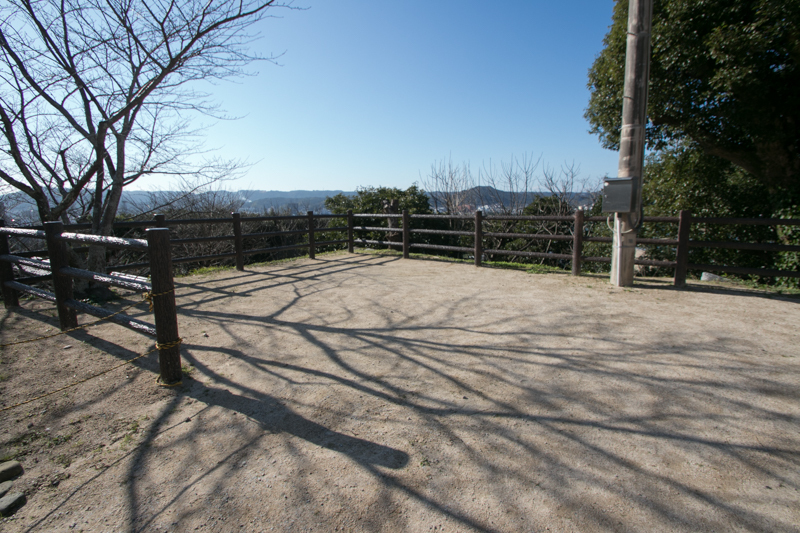 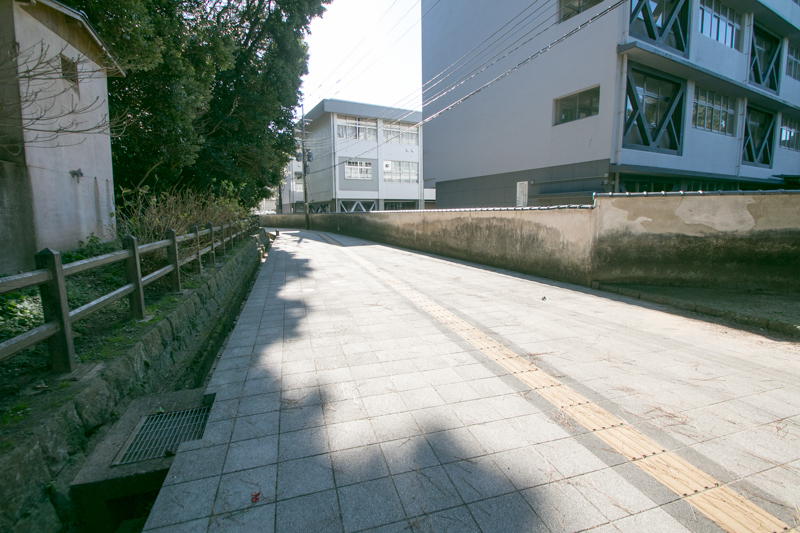 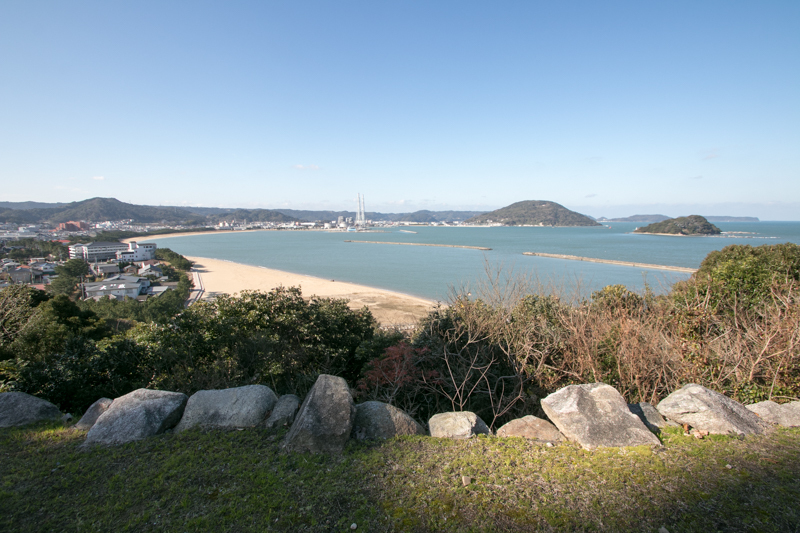 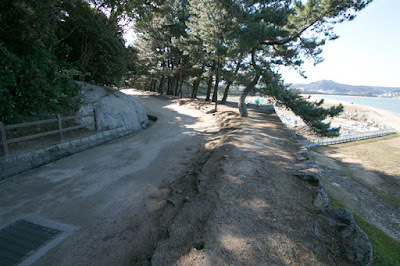 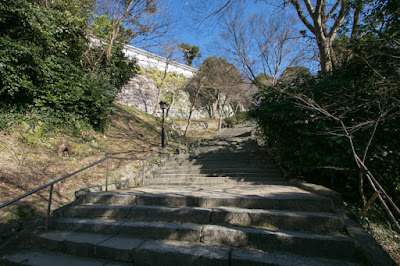 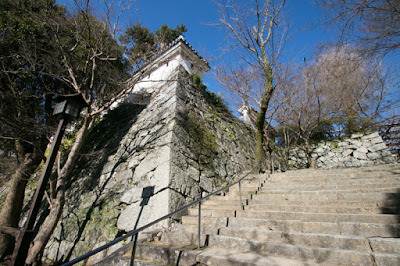 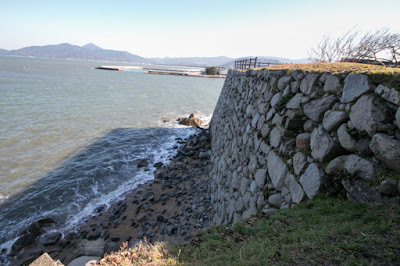 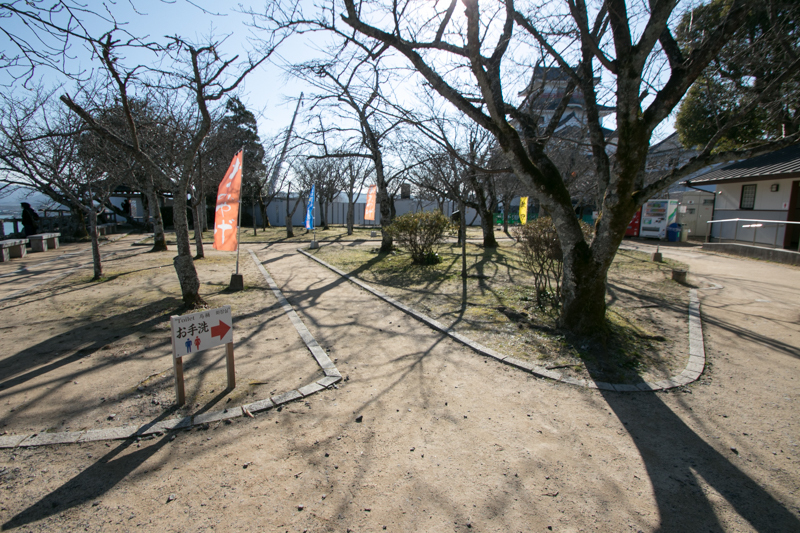 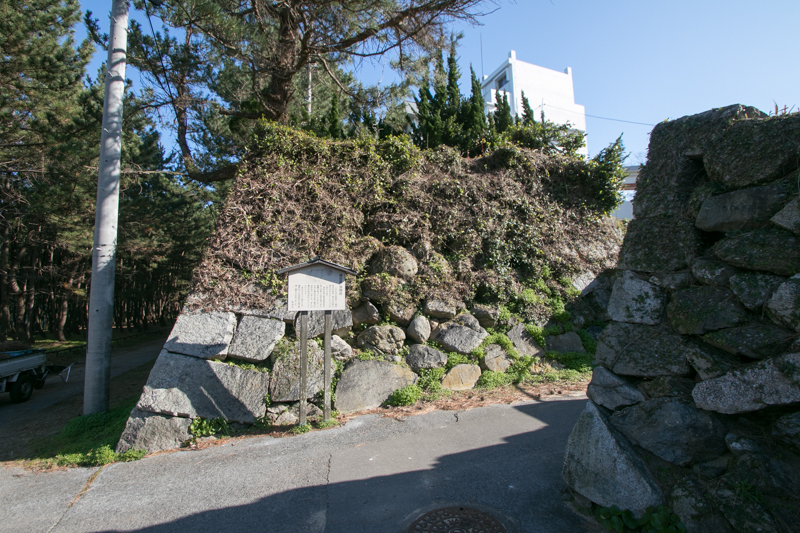 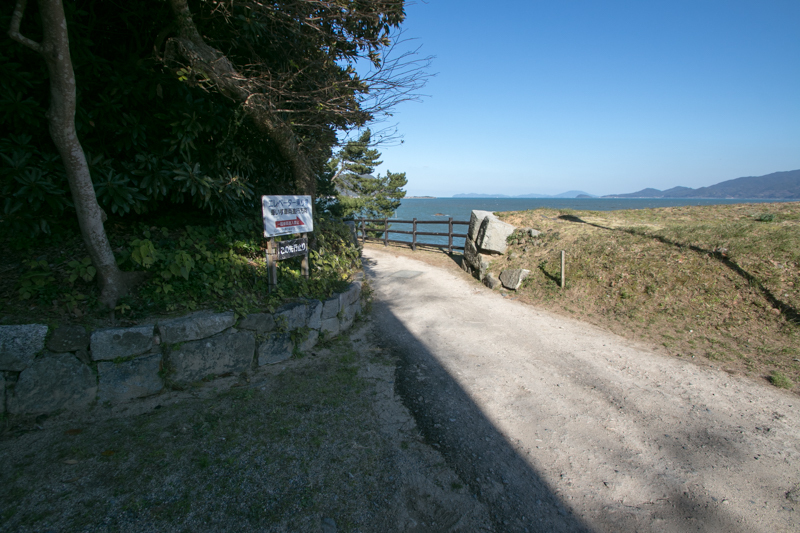 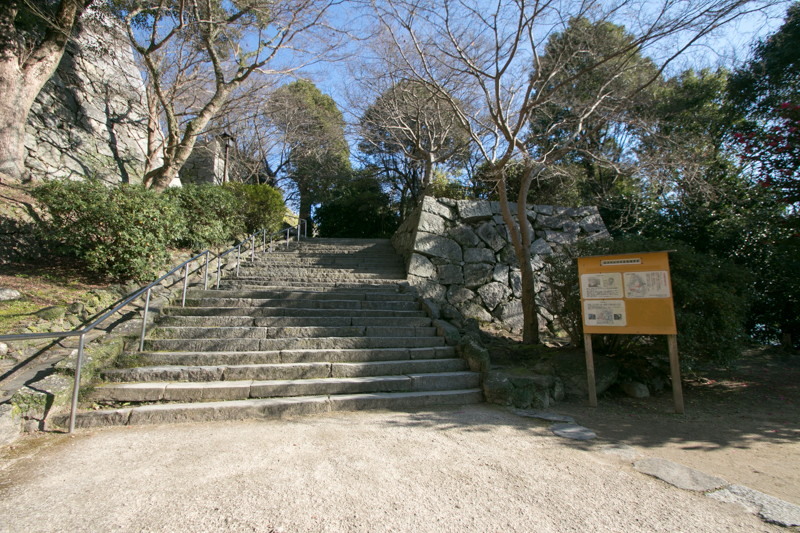 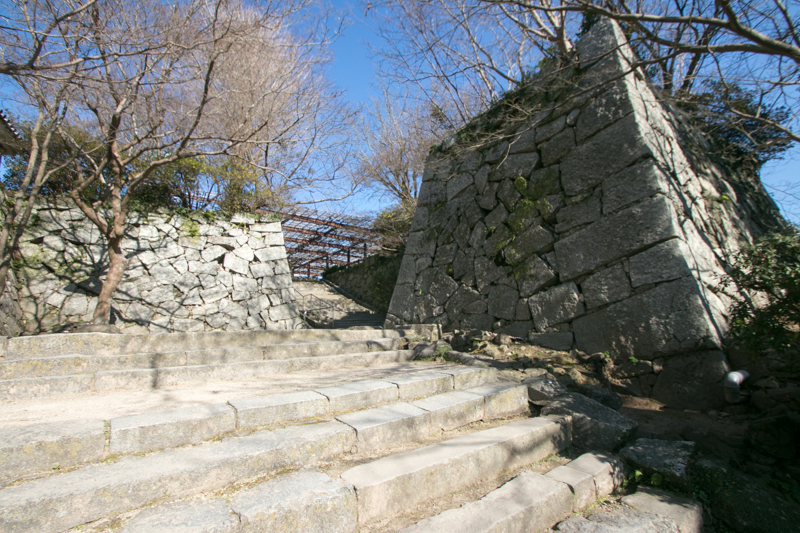 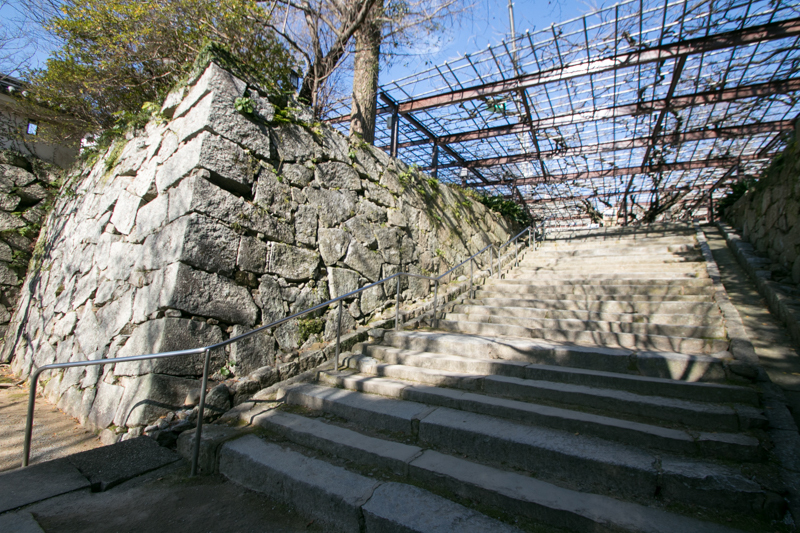 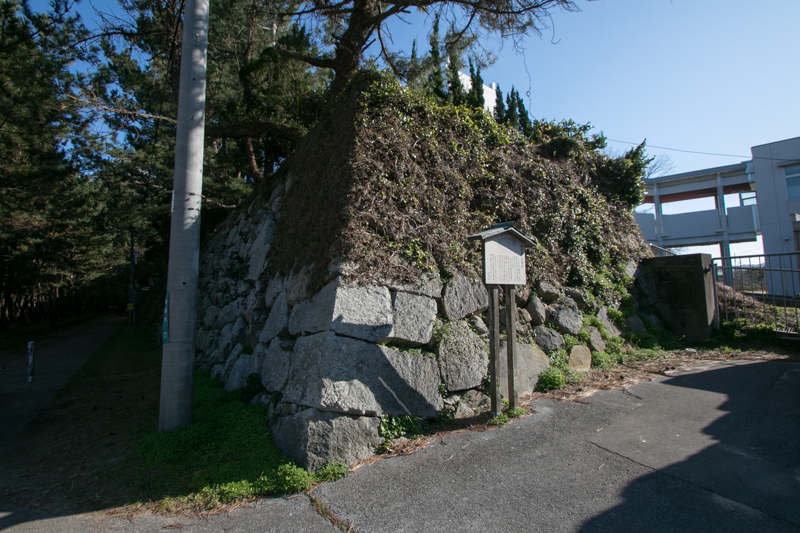 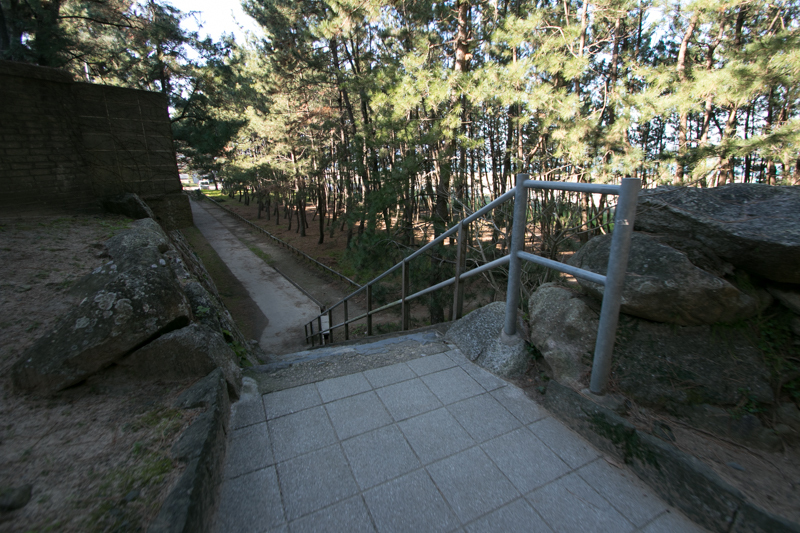 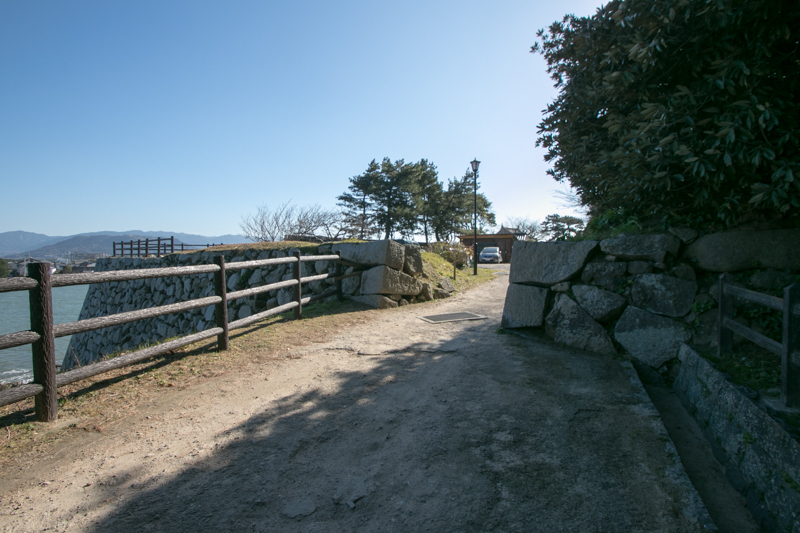 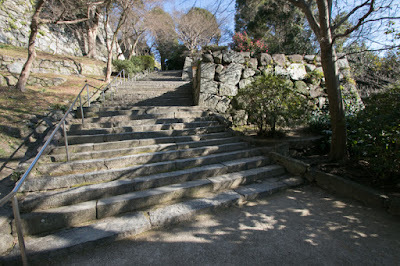 Originally this hill was connected to the narrow sandbank in its east side, but Hirotaka changed the river channel to the east of the hill, and used former river area at the west of the castle as an outer area. 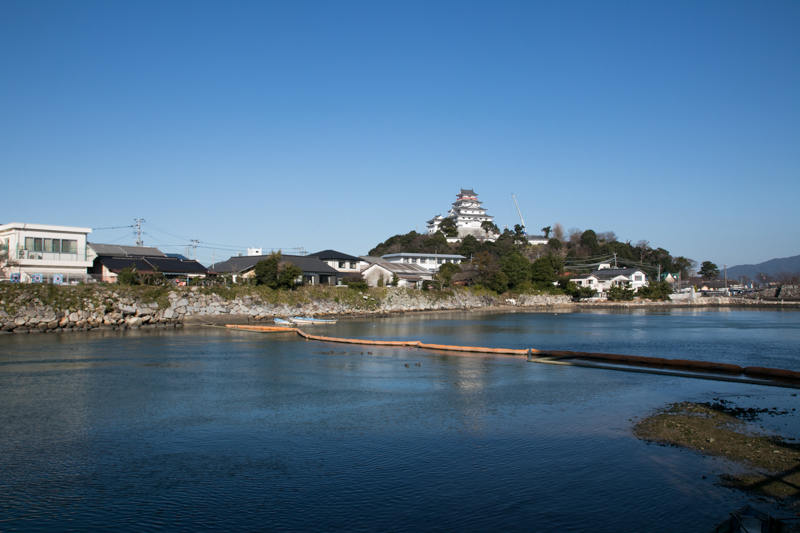 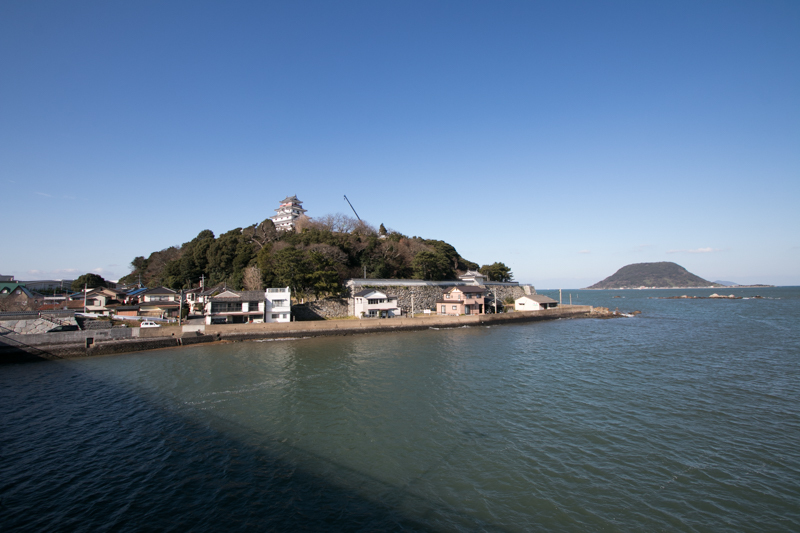 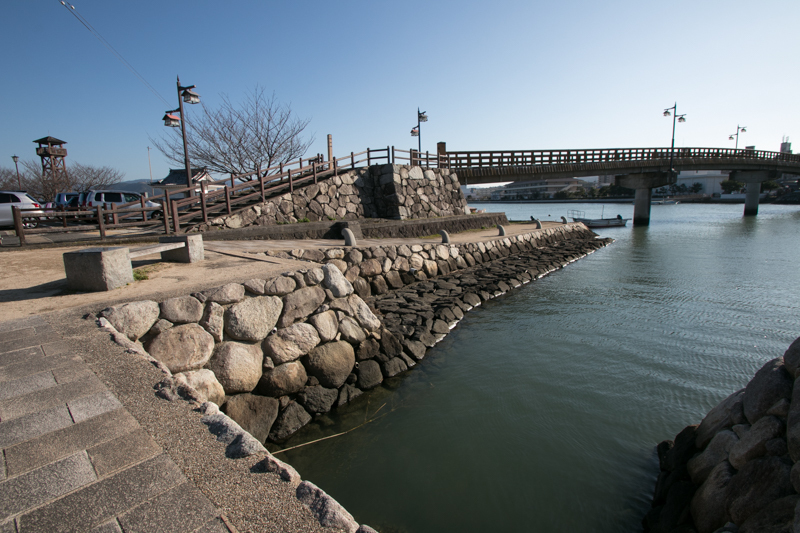 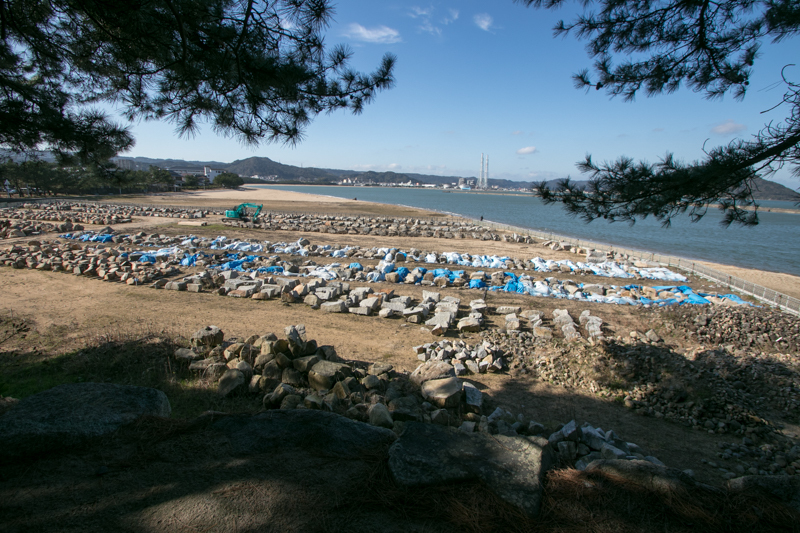 By this construction, Karatsu castle could use wide space of west coast of the river as its outer area, and could control movement of ships coming into the town port. At the hilltop there are two terraces totally surrounded by stone walls, and at the southwest edge of highest area main tower basement was placed but main tower itself was not built. 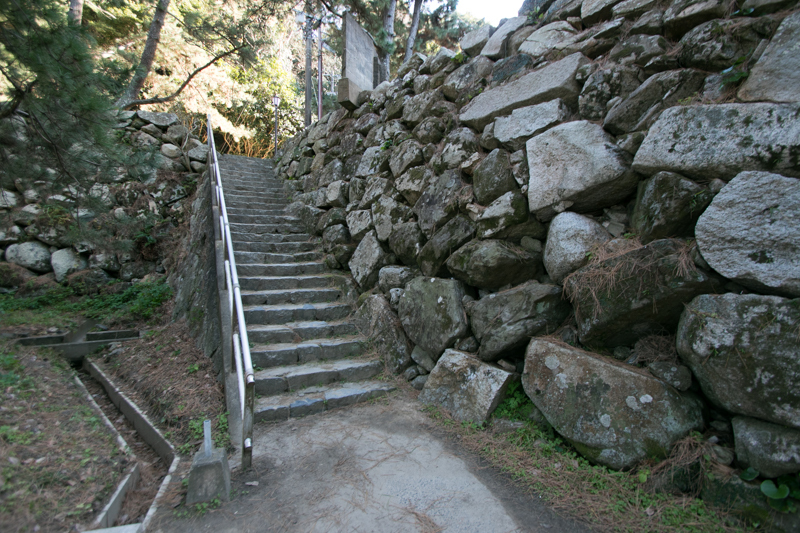 A splendid stone steps rises from the hillside to upper areas, and foot of the hill washed by waves were also fixed by tall stone walls. 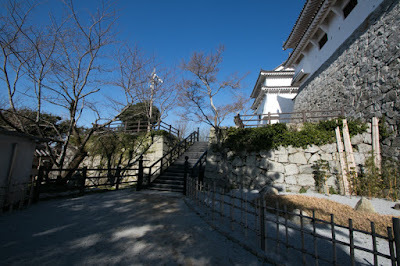 Secondary ares is about 300 meter square area at the west of the hill, and palace of the lords was built in this area. 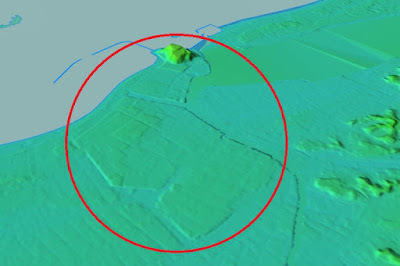 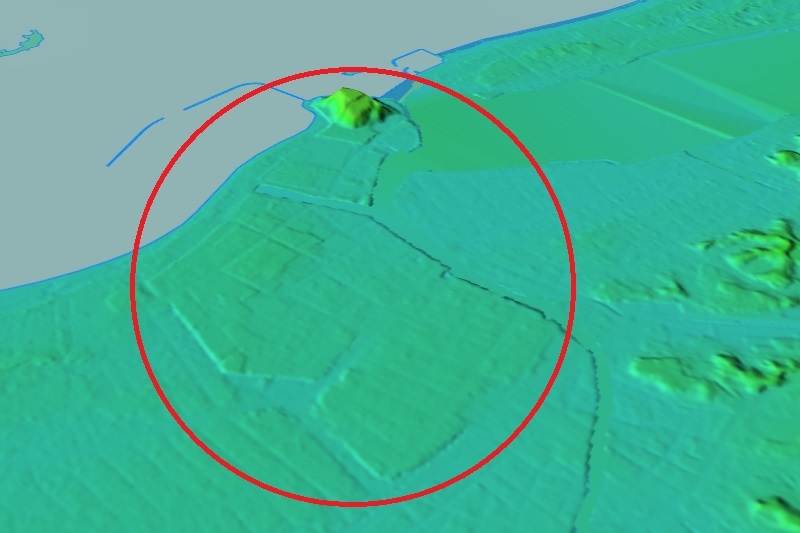 Third area spreads about 400 meter square space at the west of secondary area between the river and coast. 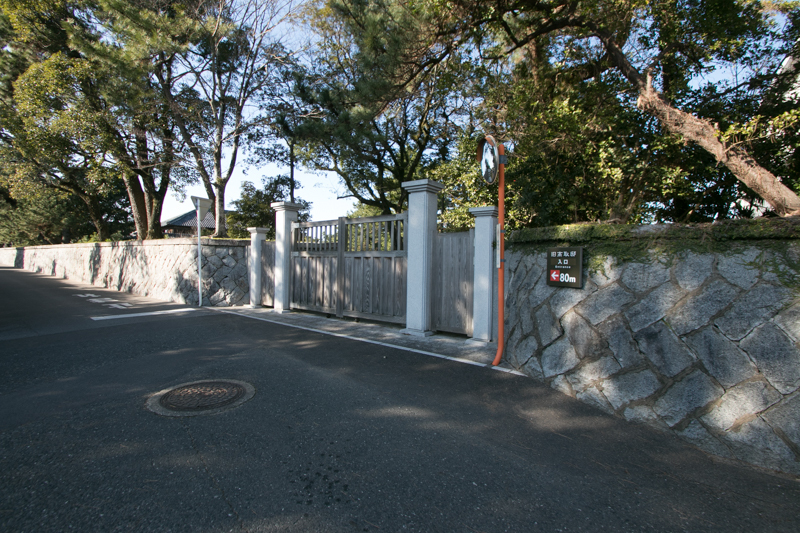 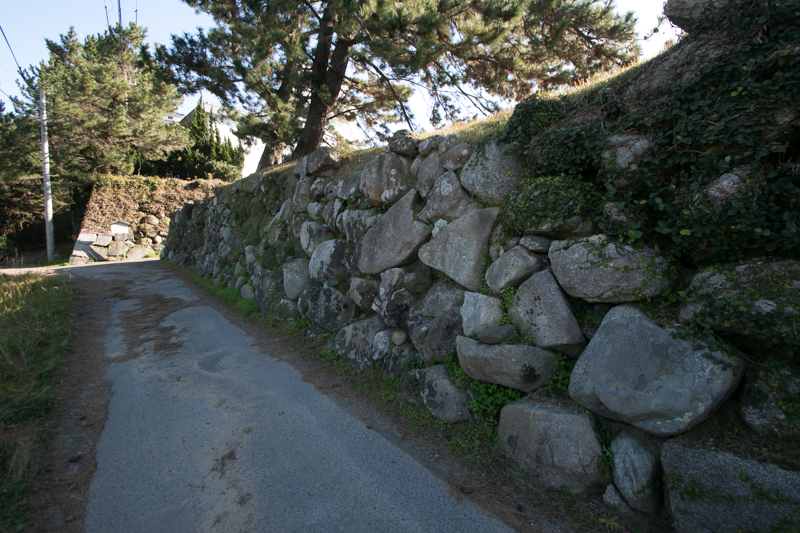 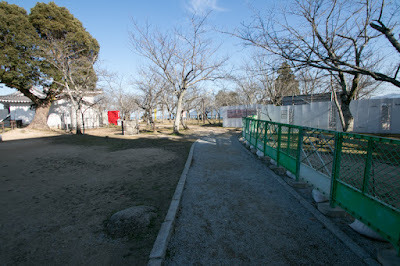 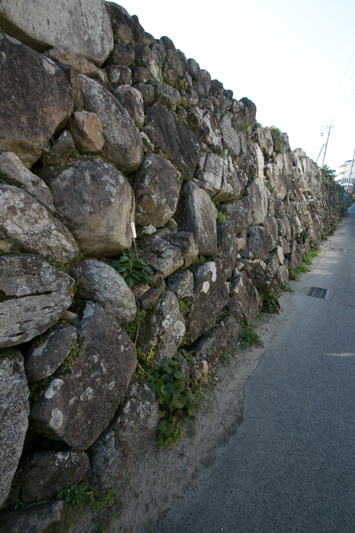 Houses of retainers were built in this area, and this area was also guarded by stone walls and outer moats. 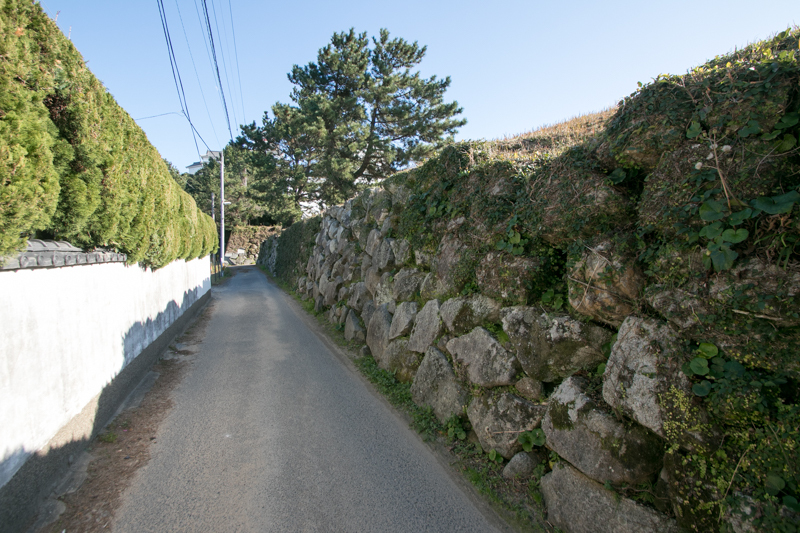 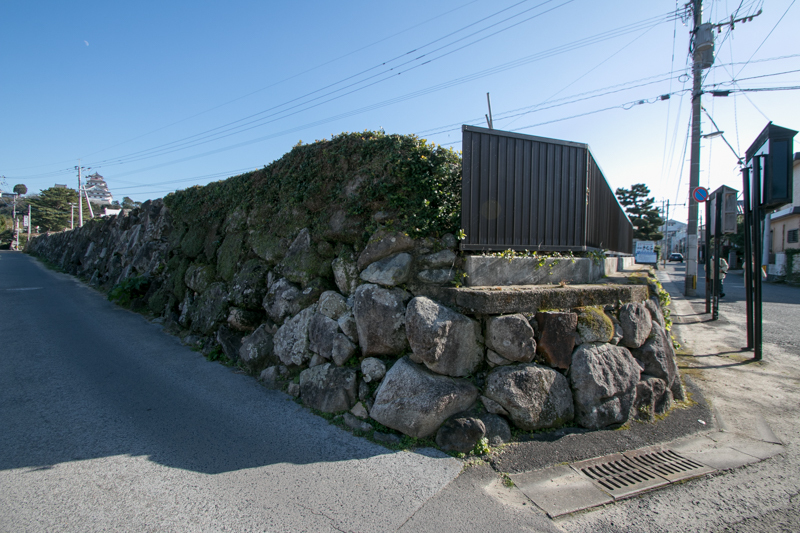 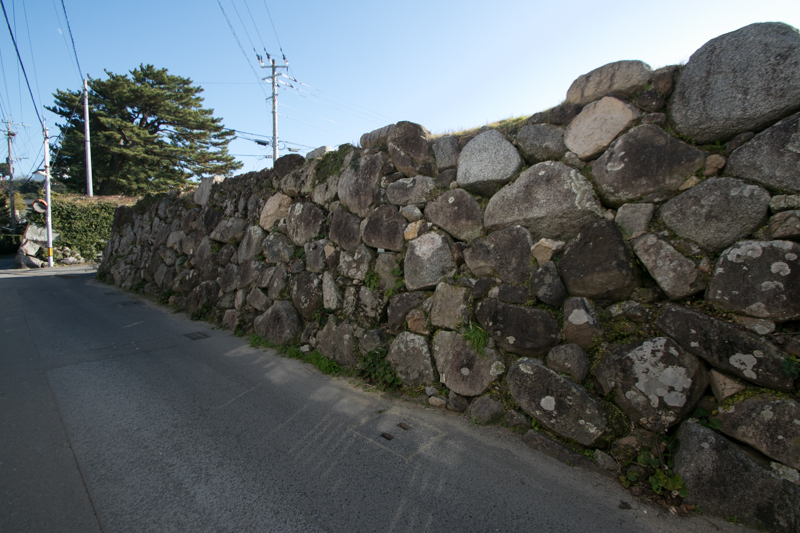 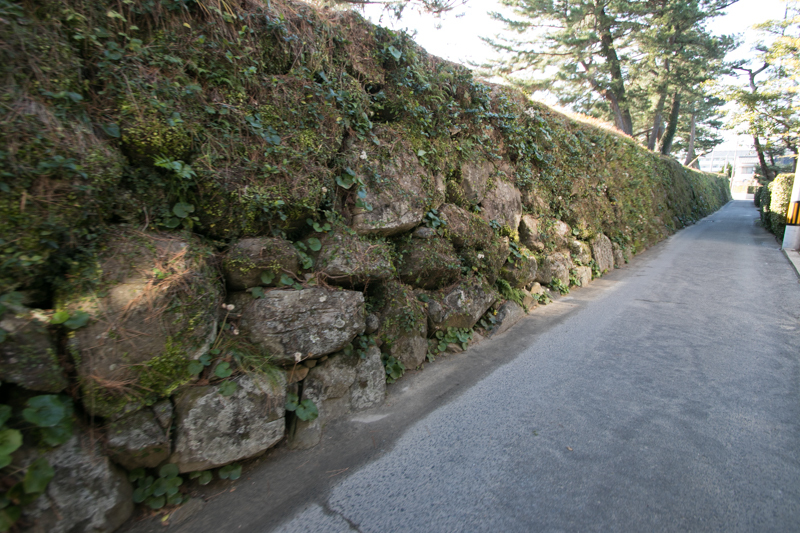 Along the Matsuura-gawa river line of stone walls continues nearly 800 meters, and a combination of inner side hill area and long continuing stone walls along the curved river is a beautiful scenery. 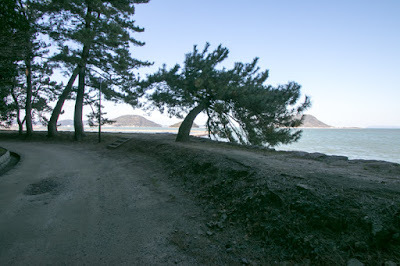 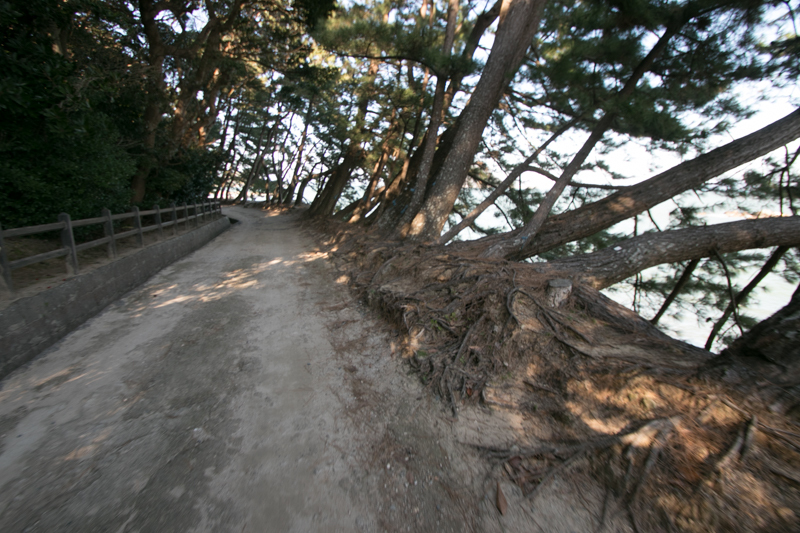 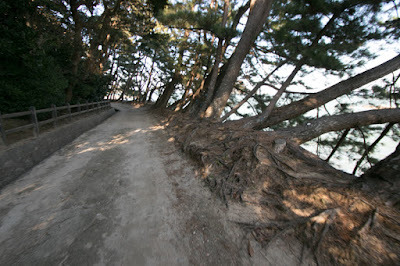 Hirotaka also placed pines along the narrow sandbank at the opposite of the river in the east of the castle to prevent winds, and this place is called as “Nijino Matsubara” (Pine forest of rainbow” and regarded as one of three best pine forests along with Amano Hashidate (Kyoto prefecture) and Mihono Matsubara (Shizuoka prefecture). 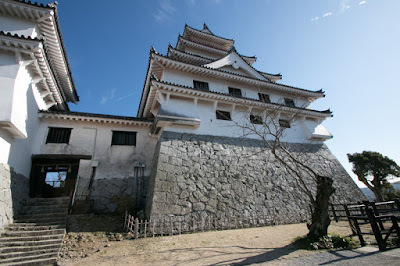 Terasawa clan held Karatsu castle to the period of Katataka Terasawa (1609-1647), son of Hirotaka, along with its branch castles such as Shishigajo castle (Saga prefecture) and Tomioka castle (Kumamoto prefecture). But higher tax of Terasawa clan and suppression to Christians became the cause of “Shimabara no Ran”, a large rebellion of residents at Amakusa and Shimabara area (Terasawa clan had Amakura area). 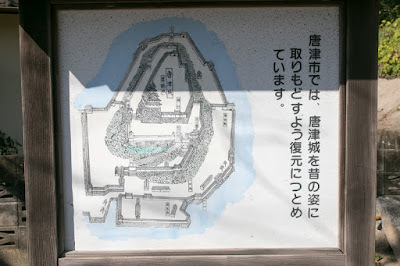 Taking the responsibility of rebellion, Amakusa area territory was confiscated by Shogunate, and accused Katataka finally killed himself and Terasawa clan was ruined. 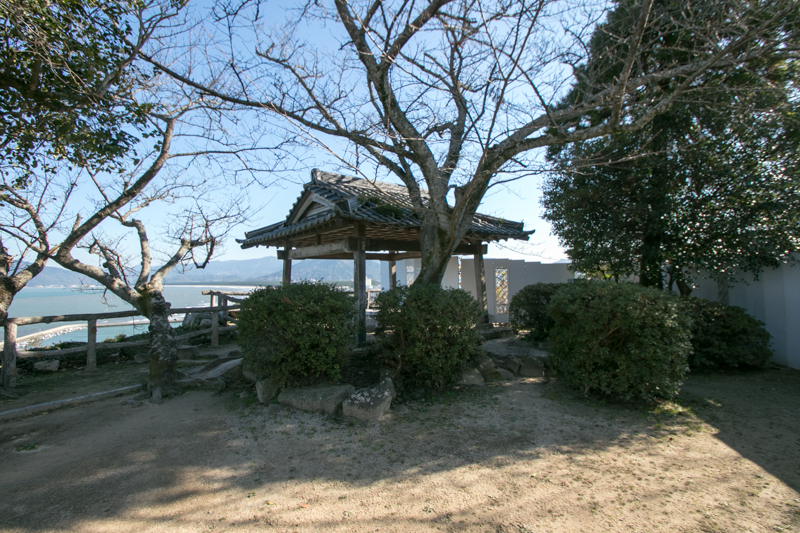 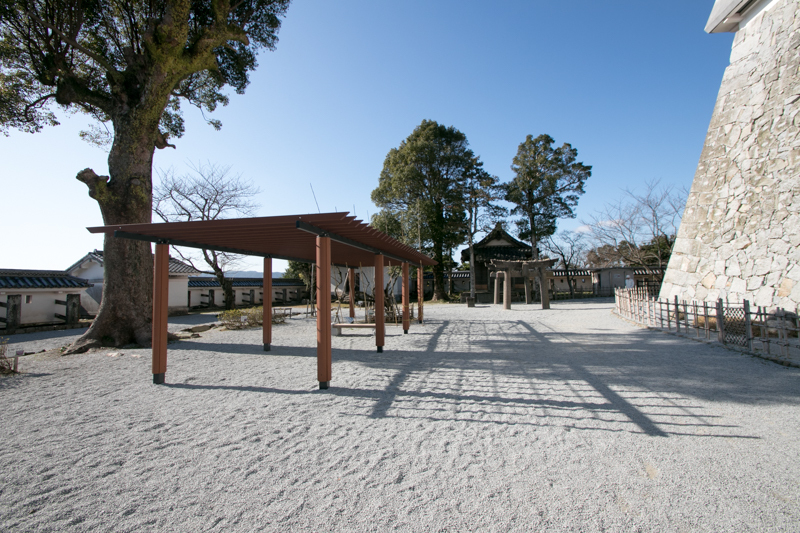 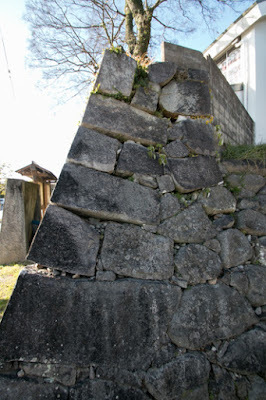 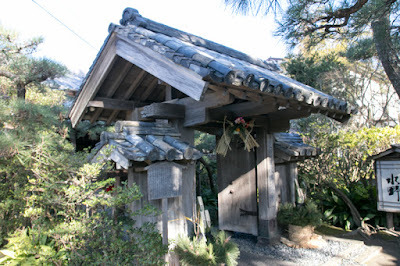 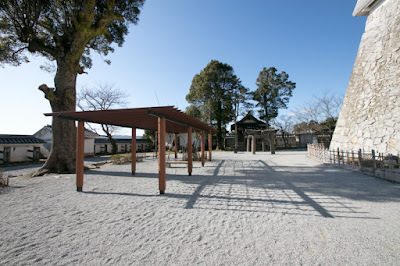 After Terasawa clan, hereditary retainer of Edo Shogunate managed Karatsu castle. 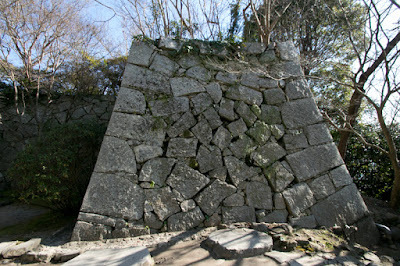 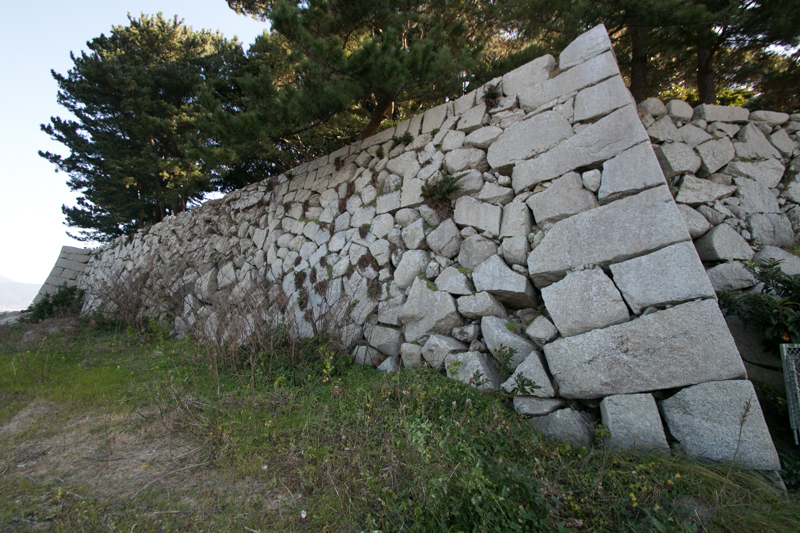 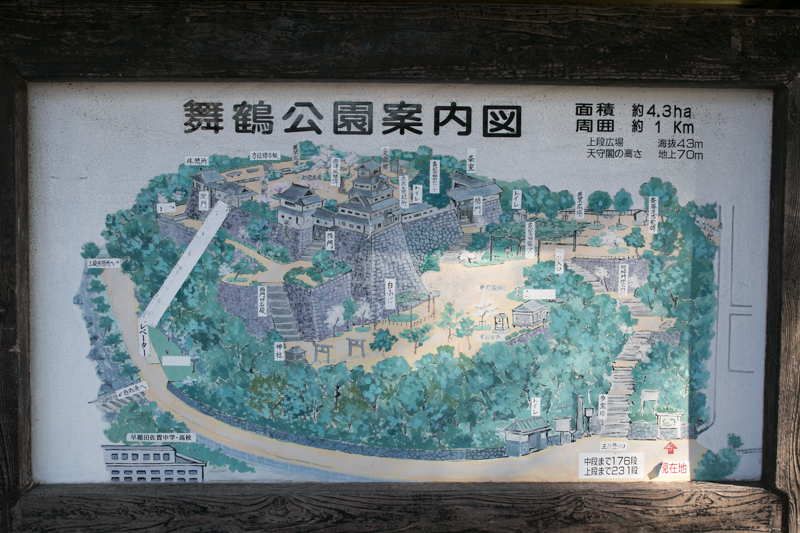 Subsequent to Meiji revolution, Karatsu castle was abolished and all buildings were lost. But stone walls of the castle well remain until now, and after World War 2 an imaginary reconstruction of main tower was built, and one turret at third area was also reconstructed. 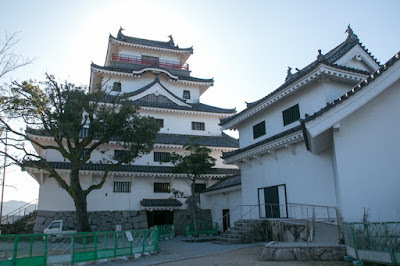 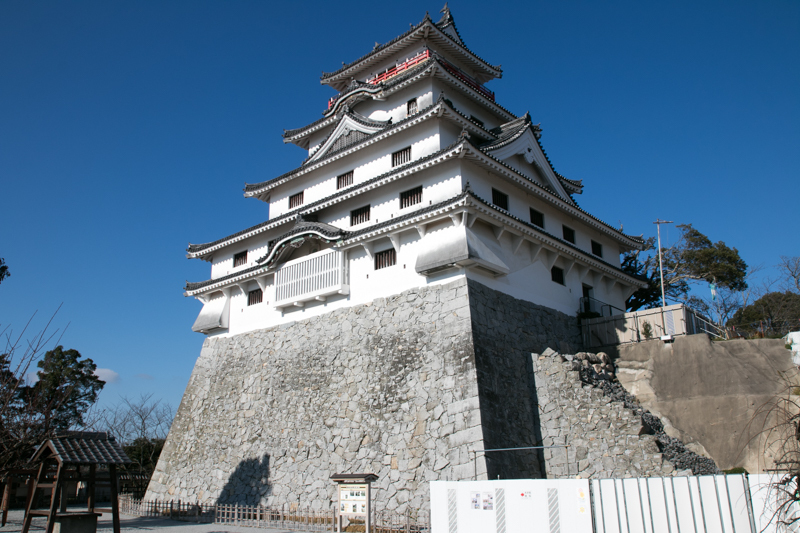 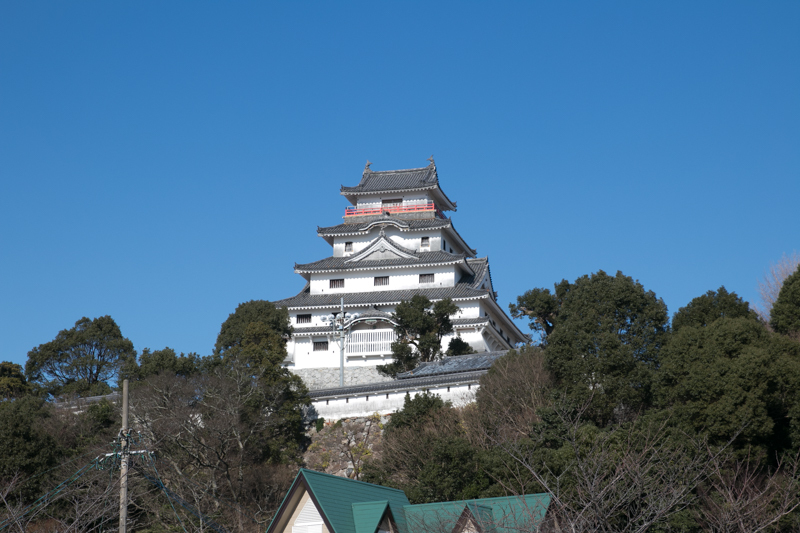 In general it becomes terrible if imaginary reconstructed main tower is built at the castle originally did not have main tower, but exceptionally this reconstructed main tower of Karatsu castle enhances its scenery. 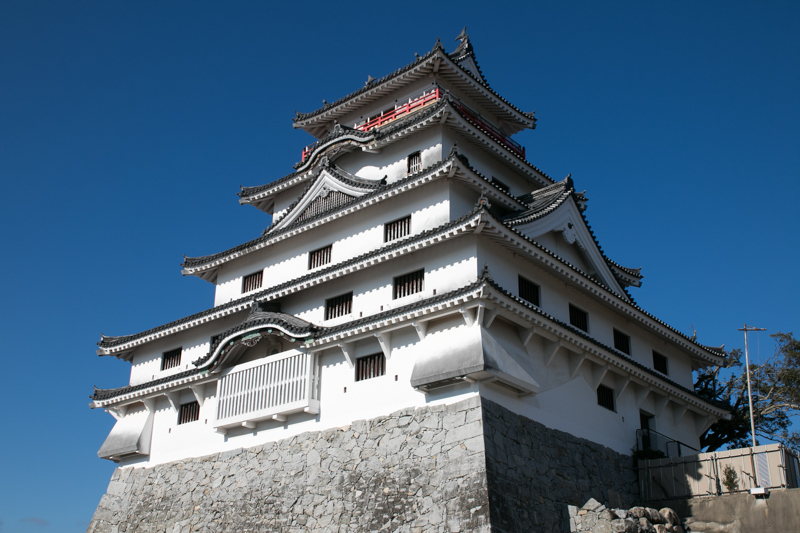 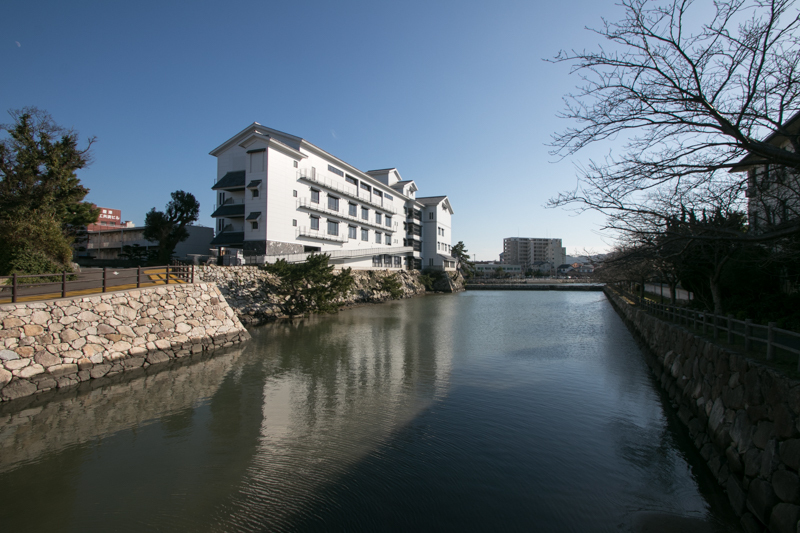 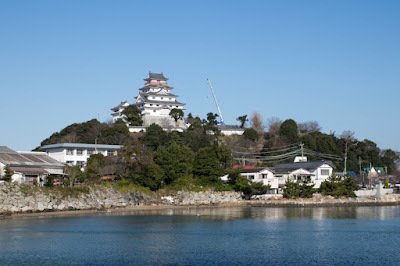 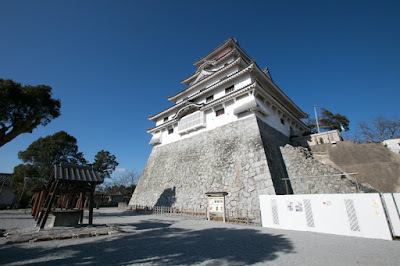 Various shapes of Karatsu castle with sheer stone walls, blue river, white sand coast, nostalgic town and green pine trees please the eye of visitors. 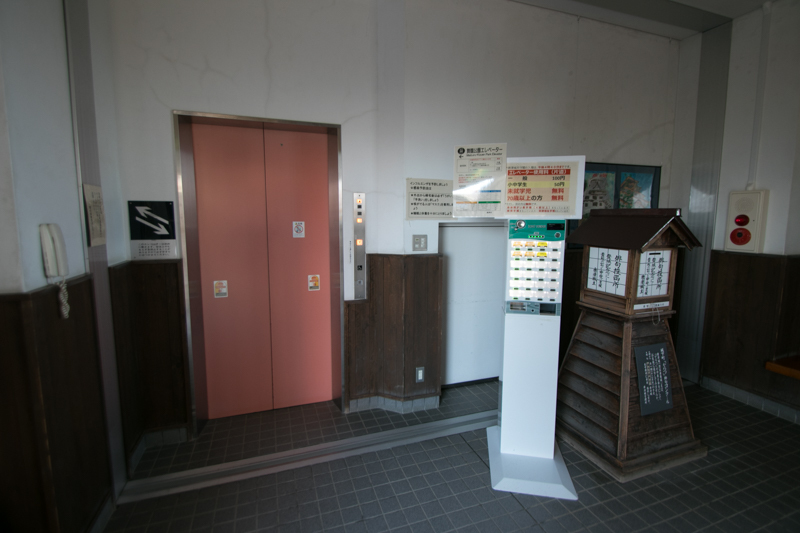 20 minutes walk from JR Kyushu Karatsu line Karatsu station. 45 minutes drive from Nagasaki Jidoshado Expressway Taku interchange via Saga-Karatsu road.